Bi-monthly e-journal of San Mateo County Behavioral Health and Recovery Services. Get the latest news, learn about upcoming events and trainings, see photos from past events and much more on the new BHRS Blog. Below is a snapshot of some of the new and continuing developments for BHRS in the past year. We would like to recognize all of the people ­­— clients, family members, staff, partners and community members — whose passion, commitment and hard work every day, transformed these ideas into action. 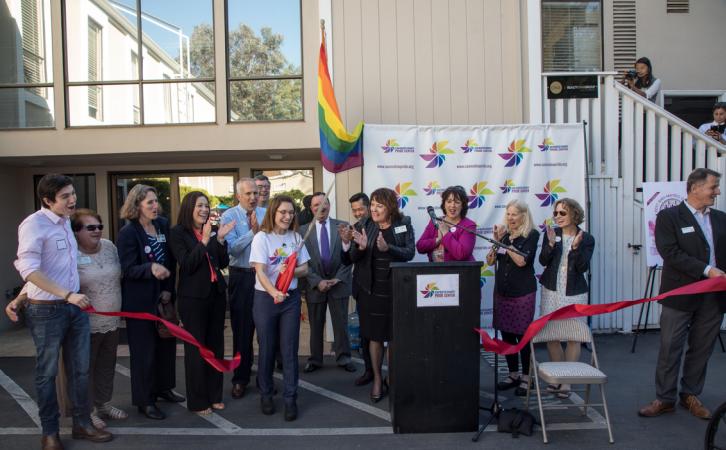 Serenity House, San Mateo County’s new short-term adult crisis residential center, opened on October 29 after much anticipation. 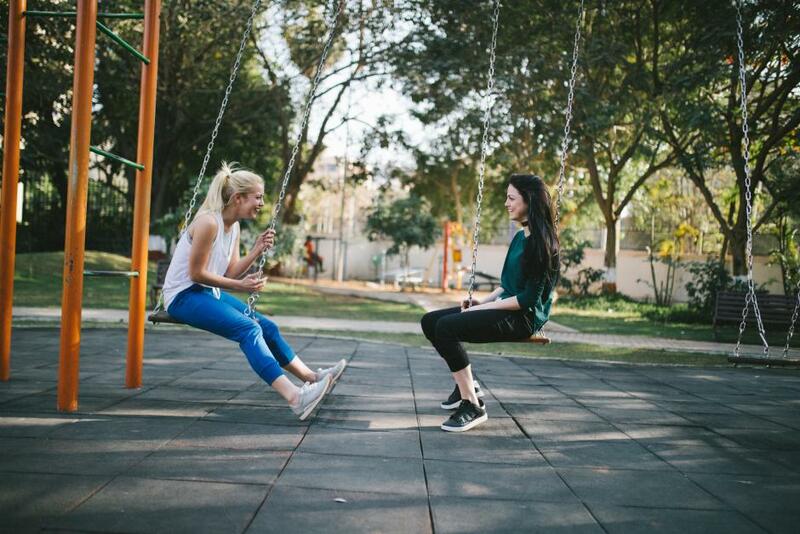 Overseen by BHRS and operated by HealthRight360, Serenity House offers 24/7 treatment, support and respite to adults experiencing a psychiatric crisis but not requiring hospitalization. Learn more. Medication assisted treatment combines medication, therapy and support to successfully treat substance use disorders. 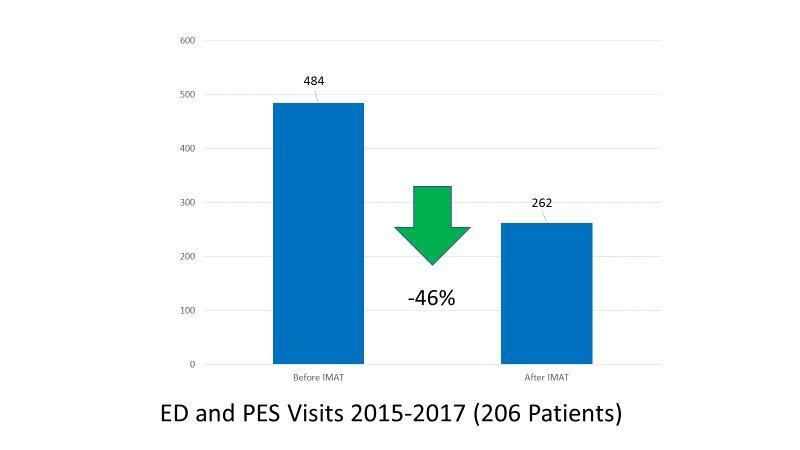 The Integrated Medication Assisted Treatment Team (IMAT) has helped treat alcohol disorders since July 2015, and recently began treating opioid use disorders in FY 17-18. For the past five years Scott Gilman, MSA, CBHE served as Chief Executive Officer of Network180, the Community Mental Health Center for Kent County, Michigan. 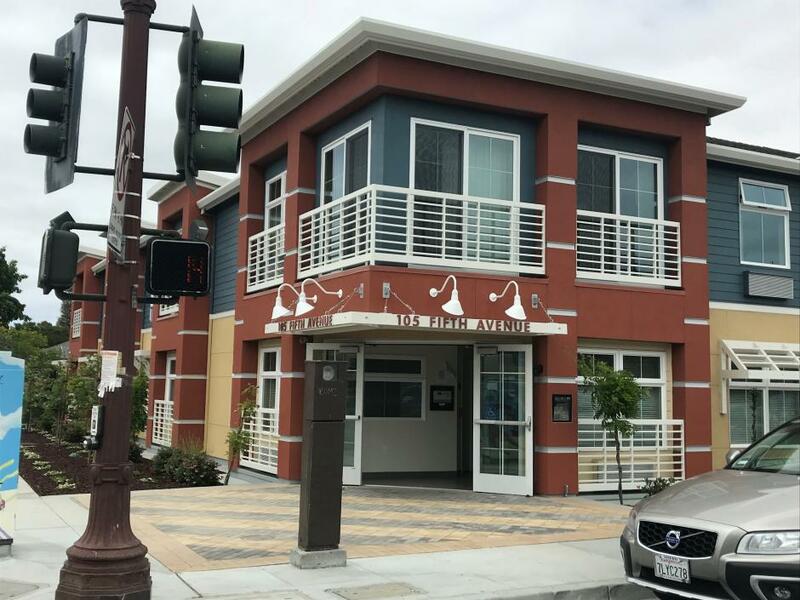 Like San Mateo County BHRS, Network 180 provides direct mental health and substance use services and maintains a large private provider network. Gilman also served as executive director of Shiawassee Community Mental Health from 2006 to 2013. The Mental Health Services Act (MHSA) seeks to improve services and bring them to those who are most in need of mental health care. While each county can exercise some discretion to use the funds to meet the unique needs of their community, MHSA requires that funding first be allocated to certain categories: Community Services and Supports, Innovation, and Prevention and Early Intervention. Learn more about how MHSA funds are distributed in San Mateo County. Under MHSA, Prevention and Early Intervention (PEI) funds are earmarked to help individuals prior to the onset of mental illness, and at least 51 percent must be allocated for PEI programs serving youth ages 0-25. For FY 17/18, San Mateo County has set aside $5.9 million for PEI, $3 million of which will fund youth-focused programs and services. In February 2018, San Mateo County joined the County Behavioral Health Technology Collaborative which invites counties statewide to develop technology-based solutions to increase behavioral health care access, supports and early detection of symptoms. The Mental Health Services Act (MHSA), which provides mental health funding to California counties, earmarks a portion of these funds as Innovation dollars, to be spent on developing new approaches to improve quality of services and increase access among underserved communities. Black History Month offers an opportunity to acknowledge the proud history of African American activism and community-building in San Mateo County. Despite the structural barriers that have hindered the growth of predominantly Black regions of the county, a thriving Black community has emerged over time. In particular, East Palo Alto, which historically has had the highest number of Black community in San Mateo County, has built its own schools, protection, and banking systems to meet its community’s needs. 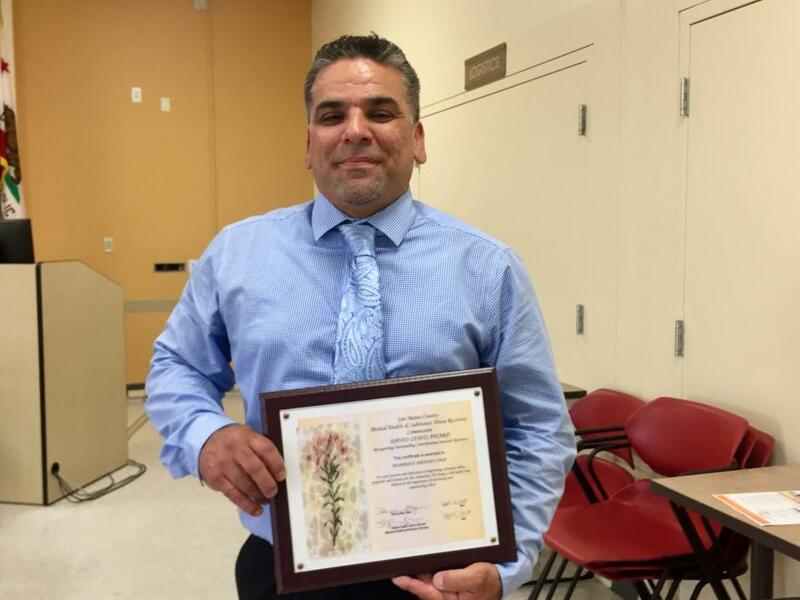 The San Mateo County Veteran’s Treatment Court (VTC) celebrated its annual Veteran’s Appreciation Day on November 9. VTC serves a community of veterans and each year, on the Friday closest to Veteran’s Day, a celebration is held to honor their service. The Court began in May 2012 and works with current or former members of the United States military who are involved in the criminal justice system. 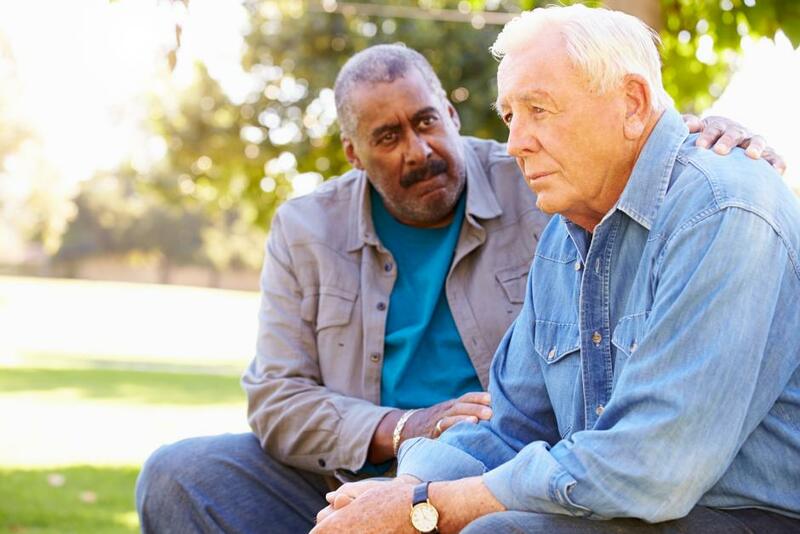 The goal is to improve the quality of life for this population by connecting them to needed services through the Veterans Administration or other appropriate treatment entities. The program is voluntary and services include mental health treatment and therapy, substance abuse counseling, health care, housing assistance, employment and job training. 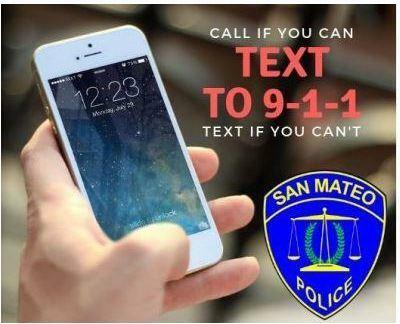 A San Mateo County-wide text-to-911 program launched in October 2018, enabling every police, fire and sheriff’s dispatcher in the county to receive emergency calls for help via text message. 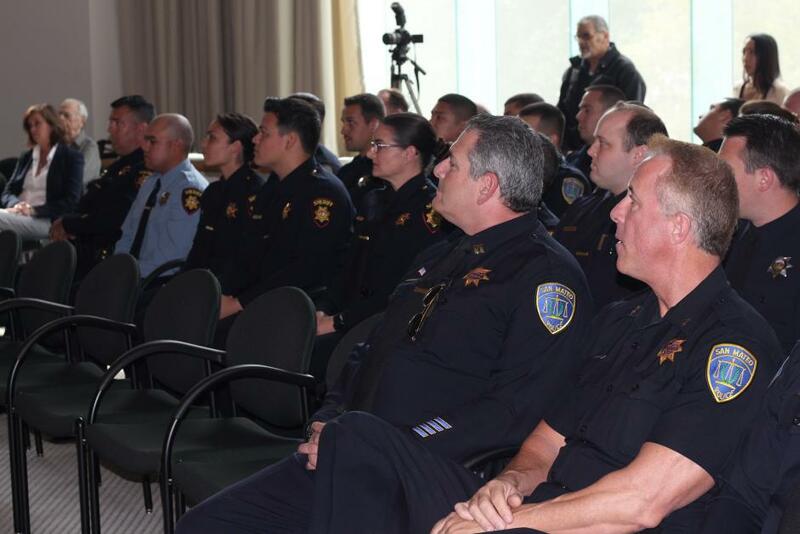 Neighboring law enforcement agencies, including the Alameda County Sheriff’s Office and Santa Clara police also accept and respond to 911 texts. While the text-to-911 program expands the community’s ability to call for help in emergency situations, officials are still urging people to text 911 only if calling is not an option. 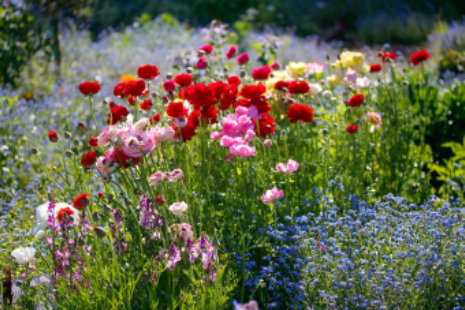 Volunteer at the Phoenix Garden Project at the Youth Services Center in San Mateo. Monthly community volunteer days are from 9 a.m. to 1 p.m., every third Saturday. Interested? Contact Toni DeMarco or Regina Moreno. Read more. The StarVista Crisis Center is looking for volunteers who will talk with individuals in need of counseling through their crisis line. Read more. 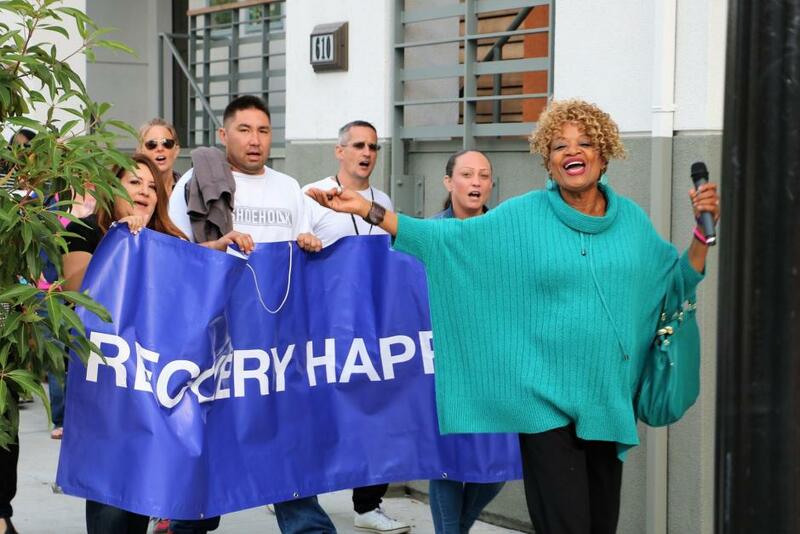 On October 29, Serenity House, San Mateo County’s new short-term adult crisis residential center, opened after much anticipation. Overseen by BHRS and operated by HealthRight360, Serenity House offers respite to adults with a mental illness in crisis to regain stability. The Mental Health Services Act seeks to improve services and bring them to those who are most in need of mental health care. The Community Services and Supports (CSS) component of MHSA funds direct services for those with a serious mental illness. CSS aims to deliver integrated, culturally competent, client and family driven services, which meet the needs of the diverse unserved and underserved communities in counties across California. 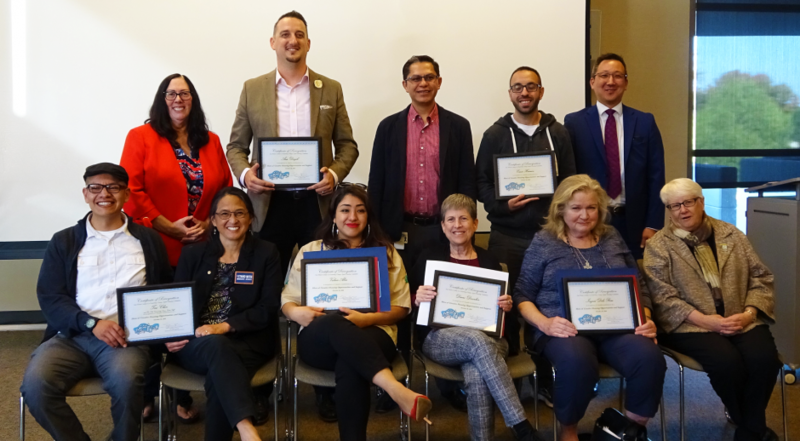 On October 18, the San Mateo County Change Agent Housing Committee and BHRS hosted the 11th annual Housing Heroes awards, honoring exceptional individuals who have gone above and beyond in providing and maintaining housing for those with mental health and/or substance use conditions. Cordilleras Mental Health Center, located in Redwood City, is a County-owned, 117-bed psychiatric facility for adults with chronic, serious mental illness and one of the County’s most important resources for its most vulnerable mentally ill residents. The Center is slated to be replaced by 2021, with new facilities that will meet modern standards of care. 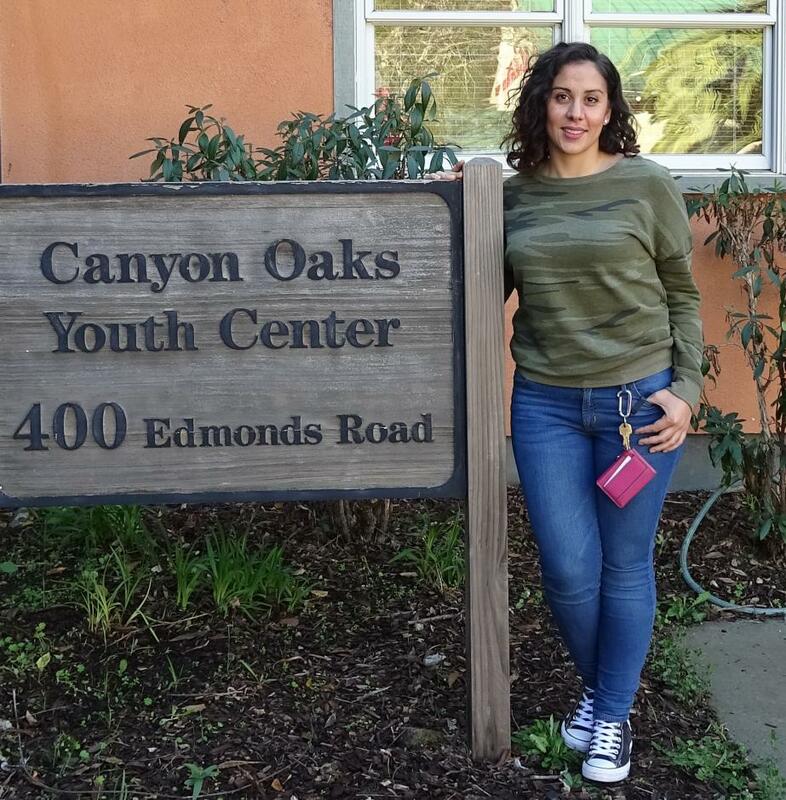 Sonia is the Family Partner for the BHRS Youth to Adult Transition program at the Shasta Youth and Young Adult Clinic in Redwood City. After 14 years with the Human Services Agency, she joined the team as a family partner in 2017. She is bilingual (Spanish/English) and bicultural. Since the San Mateo County Board of Supervisors adopted an ordinance restricting the sale of flavored tobacco products in Unincorporated Areas of the County in June 2018, two other jurisdictions in the county have followed suit. Portola Valley and Half Moon Bay are among the first jurisdictions to adopt a similar ordinance, and other jurisdictions in the county are considering adopting a flavored tobacco ordinance next year. In fond memory of two people who made a profound impact on the communities and people they touched. They will be dearly missed. As we were preparing for this important issue of Wellness Matters, highlighting our Suicide Prevention efforts here at BHRS, we lost a dear colleague to an apparent suicide. We struggled, given this tragic event, with whether to cover suicide prevention and the work that continues in San Mateo County in this issue. 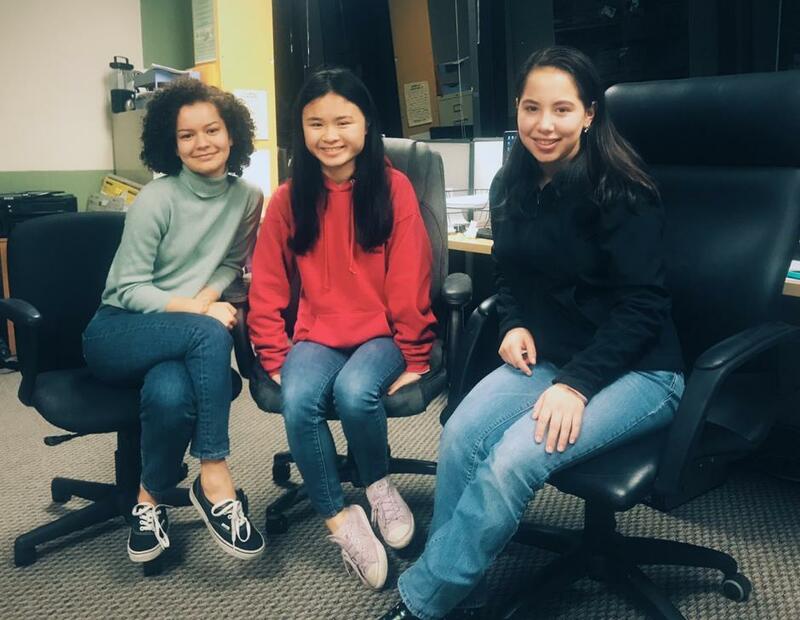 We made the decision to run the articles to ensure that the important information in this issue is distributed widely throughout San Mateo County. Each Recovery Month, we highlight the incredible journeys of individuals from all walks of life who have found recovery. They are a testament to the resilience of the human spirit and show that treatment is effective and people do recover. We hope these stories encourage others to seek help – and to know that recovery is always possible. The Mental Health Services Act (MHSA), passed in 2004, has provided increased funding for mental health supports and services to counties across California. Here in San Mateo County, MHSA dollars are leveraged virtually everywhere in the BHRS system and community network of care. Every day in the United States, 174 people die from a drug-related overdose, according to Centers for Disease Control & Prevention - 116 of those deaths are the result of opioids. Opioids were involved in 42,249, or 67 percent, of 2016 drug overdose deaths. 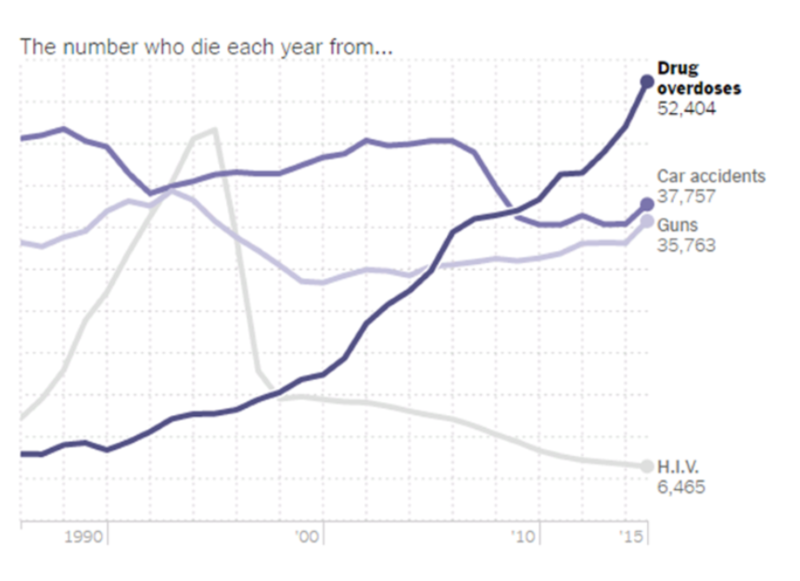 The data shows that people are dying from more potent and dangerous opioids, and are simultaneously using multiple drugs like heroin, fentanyl, cocaine, methamphetamines and benzodiazepines. Voices of Recovery San Mateo County (VORSMC) is a nonprofit (501 c3) peer-led organization that was established in 2010, with the purpose of advocating for and supporting the recovery community, people overcoming drug and/or alcohol addictions. We recognize that hope is a powerful lever for recovery that can be ignited by the leadership, peer support, and lived experience of people who have, themselves, overcome addiction. In the first ten months of the program, the Multiple DUI Court Program (MDUI) team evaluated 173 referrals and admitted 128 cases in the program. Twenty referrals were denied admission due to not meeting the eligibility criteria. Twenty-five referrals are currently pending. The MDUI Court has also admitted 40 high risk and high need individuals. All high risk and high need participants are referred to substance use disorder (SUD) treatment. 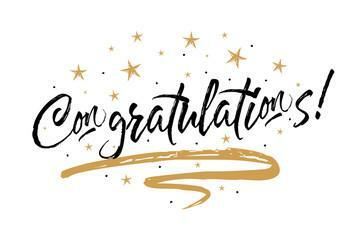 Each year, the San Mateo County Mental Health and Substance Abuse Recovery Commission (MHSARC) recognizes outstanding contributions towards recovery with the David Lewis Award. The award is named for the late David Lewis, co-founder of the recovery organization, Free at Last, whose lasting contributions to the recovery community cemented his legacy as a true leader. The next San Mateo County Mental Health Services Act (MHSA) Steering Committee has been scheduled and, as always, is open to the public. The Steering Committee meets twice a year and makes recommendations for the planning, funding and services development of MHSA. 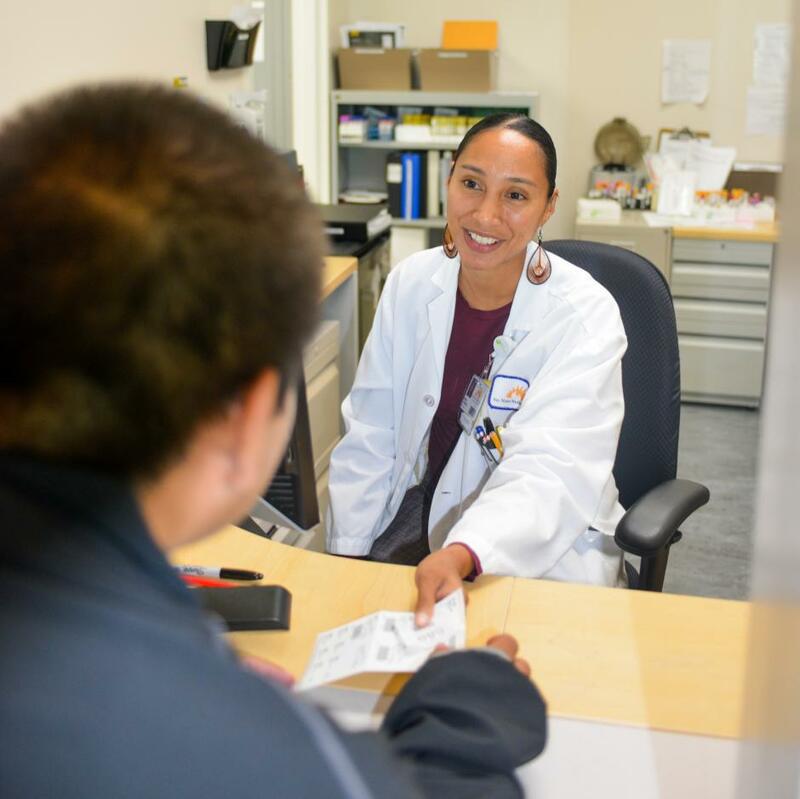 In February of 2017, San Mateo County launched an expanded Drug Medi-Cal Organized Delivery System (DMC-ODS) services pilot, significantly expanding the continuum of substance use services available for Medi-Cal beneficiaries in San Mateo County. The pilot is part of California’s 1115 Waiver, known as Medi-Cal 2020. 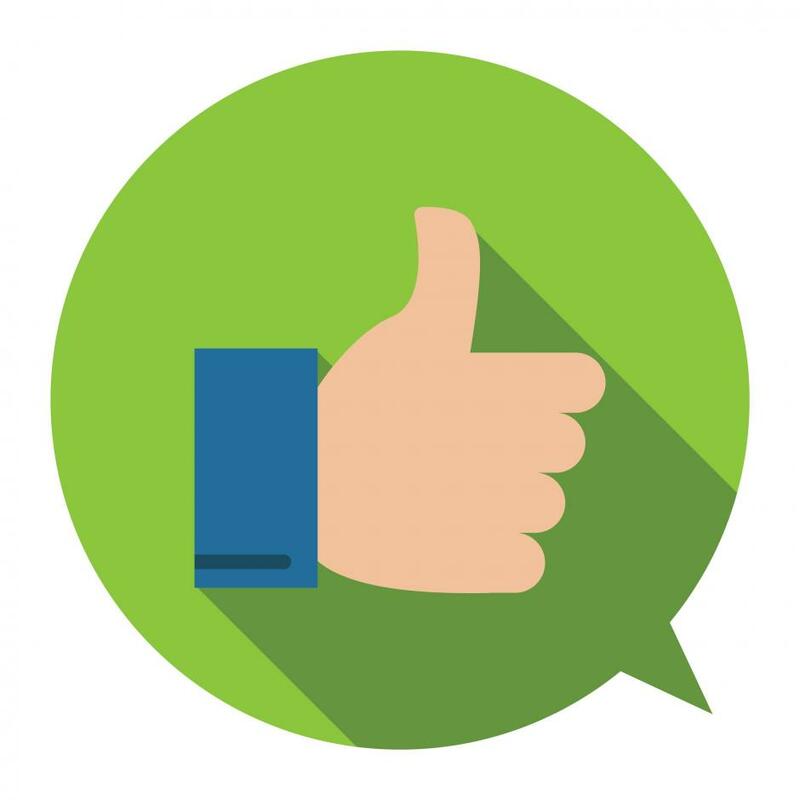 A California Department of Health Care Services External Quality Review (EQR) was conducted to review quality, timeliness and access to these services. 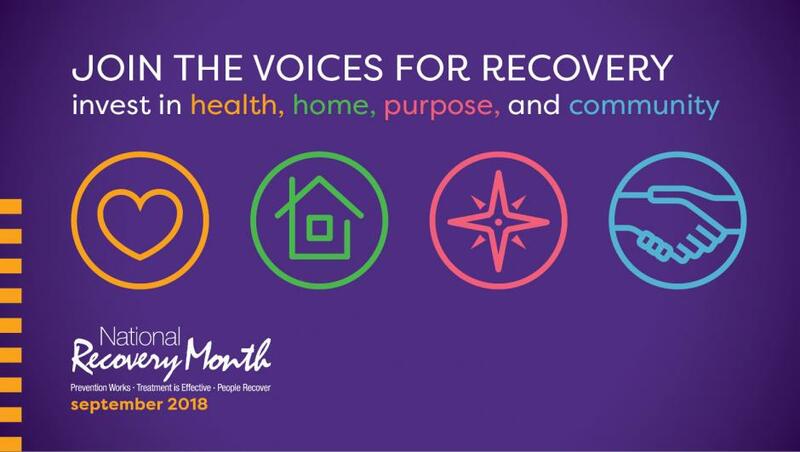 Join BHRS and Voices of Recovery SMC in celebrating those in recovery from mental health and substance use issues for the 29th Annual National Recovery Month. See the Recovery Month flier for event details. In his late twenties and early thirties Miles lived part of his life on the streets, cycling through shelters, hospitals and court rooms. Years of intense drug use, which started at the young age of 11, had taken its toll on his body and mind, leaving him feeling clouded and lost. As healthcare professionals dedicated to preventing and treating mental health and substance use conditions, we have strong concerns with the policy of separating children from their parents or caregivers as they attempt to seek asylum in the United States. There are more humane methods for detaining families that may have entered the country unlawfully, but under international and U.S. law, have a right to due process in obtaining asylum. 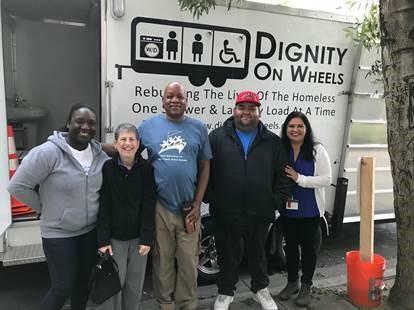 Since its November launch at the South County Adult Clinic in Redwood City, Dignity on Wheels (DOW) has been providing the homeless with warm showers and laundry services every Friday from 8 a.m. to 12 p.m.
Community members, community-based organizations and BHRS staff gathered on Saturday, June 16 to celebrate LGBTQ+ wellness, inclusion and visibility. Hosted by the BHRS PRIDE Initiative, San Mateo County’s sixth annual Pride celebration was warm in all senses of the word. 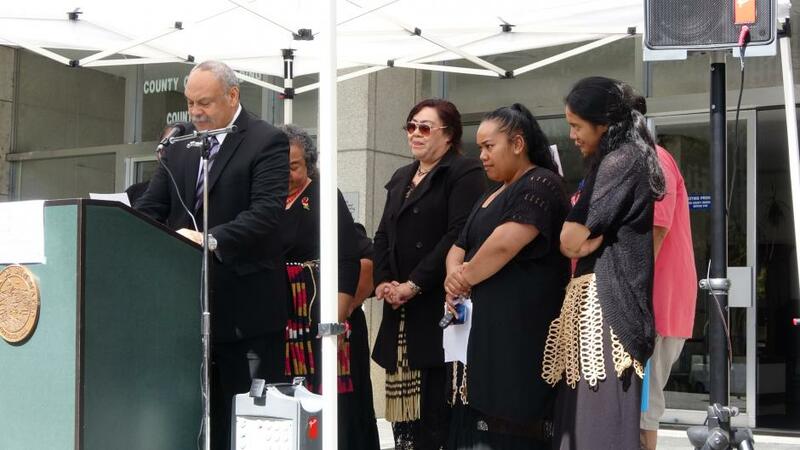 Around 800 people gathered in the sunshine to bask in a welcoming, accepting atmosphere. On June 19, the San Mateo County Board Supervisors approved an ordinance to restrict the sale of tobacco products in pharmacies and flavored tobacco products in unincorporated areas. This is a victory for our county, as we try to reduce tobacco retail density and prevent future nicotine addiction. Most MHSA funding must be spent within three years or counties are required to return unspent funds to the State of California Department of Health Care Services (DHCS). AB 114 legislation allowed Counties to submit a plan by July 1, 2018 for spending their respective funds that were subject to reversion since the inception of MHSA. A total of $4,256,155 was determined reverted as of July 1, 2017 and reallocated back to San Mateo County for AB 114 planning. 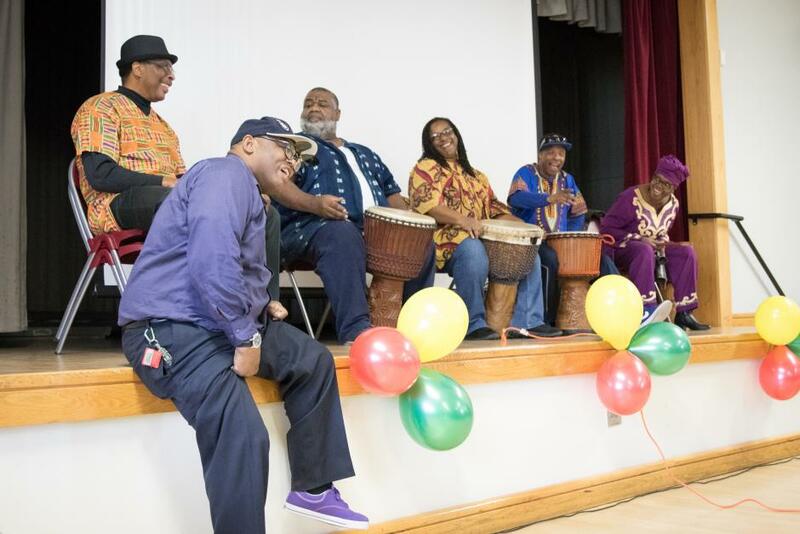 On Saturday, June 9th, the Office of Diversity & Equity hosted the 5th annual Parent Project® Reunion, with live music, great food and heartfelt testimonies. 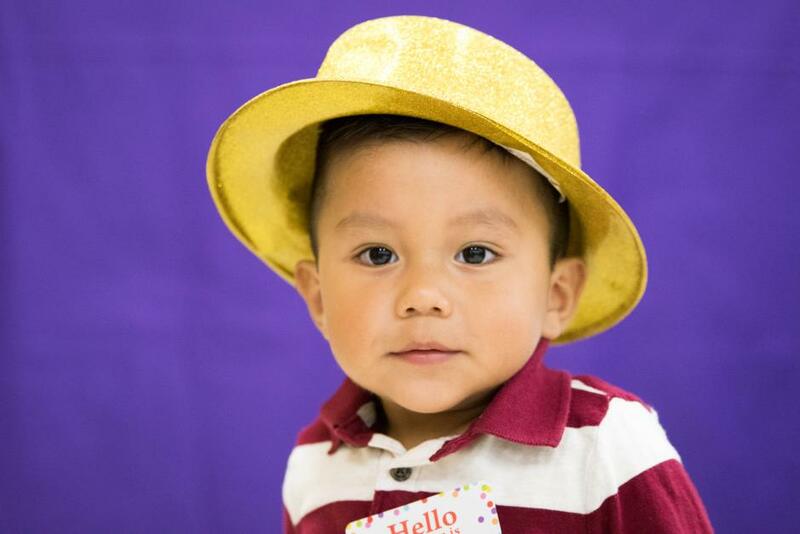 The yearly event celebrates participants and graduates of the Parent Project®, a 12-week class that gives parents, grandparents, and caregivers the tools to build strong and healthy families. 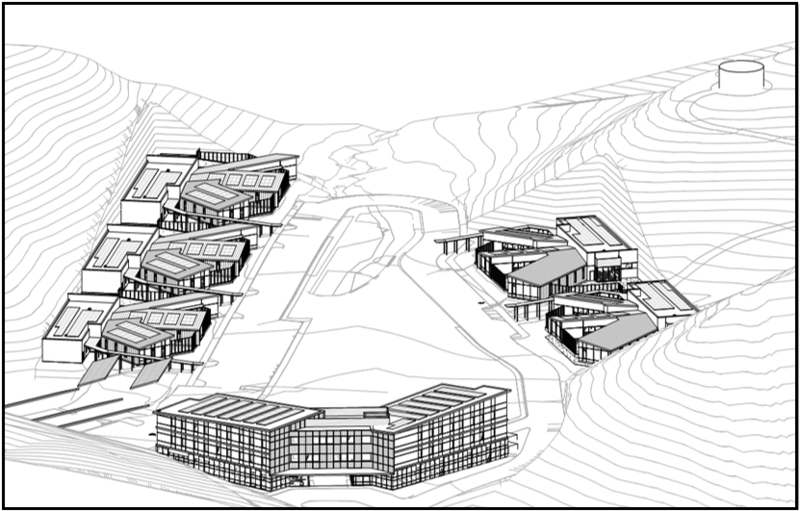 The San Mateo Daily Journal covers the Cordilleras Mental Health Center renovation, which will include specialized mental health treatment, expanded facilities and additional recreation opportunities. BHRS’ Lee Harrison, Consumer and Family Liaison in the Office of Consumer and Family Affairs, recently became Mental Health America’s 39th National Certified Peer Specialist. 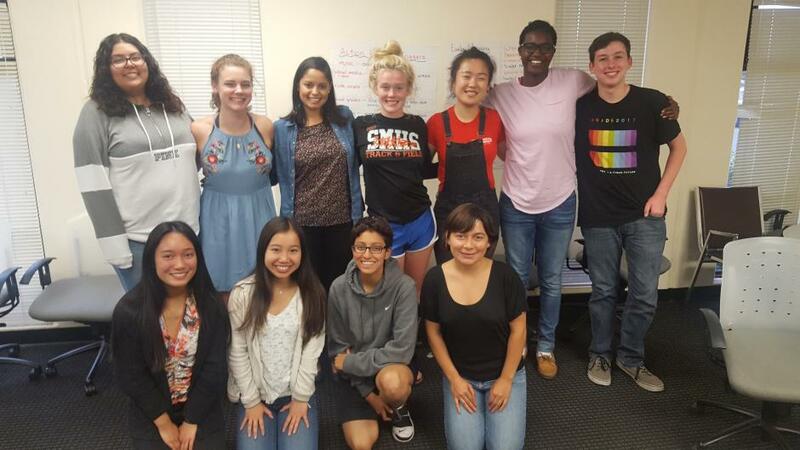 During Mental Health Awareness Month, the BHRS Community Health Promotion unit hosted a Theatre of the Oppressed workshop, using art to build awareness around the root causes of health disparities. Amid ferris wheels and cotton candy at this year’s county fair, sat some of our dedicated BHRS staff, spreading mental health awareness to the San Mateo County community. San Mateo County Behavioral Health and Recovery Services is partnering with local organizations to recognize 2018 May Mental Health Awareness Month (MHAM), which is part of a nationwide movement to raise awareness and reduce stigma around mental health and substance use issues. 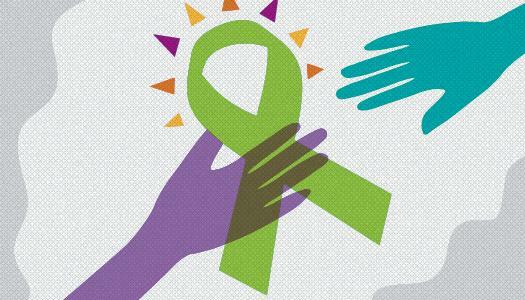 This May, we celebrate Mental Health Awareness Month (MHAM). 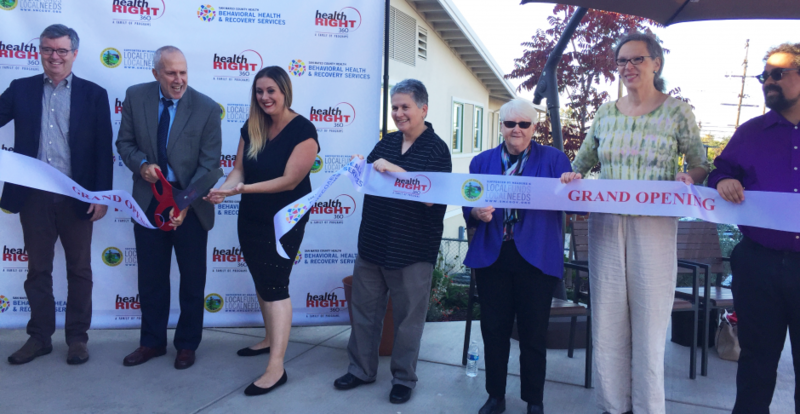 Launched by a proclamation from our county Board of Supervisors on April 24, MHAM in San Mateo County will focus on bridging communities to wellness. All community members should have access to resources that support their well-being, regardless of who they are or where they live in the county. Storytelling can be educational, destigmatizing and incredibly empowering. The following are stories of hope, resilience and recovery from those who have experienced mental health and substance use issues. These individuals are sharing their stories in the hopes that others will be encouraged to seek help, and join them on the path to recovery. The Mental Health Service Act (MHSA) passed in 2004 with the vision of transforming behavioral health systems to provide state-of-the-art, effective, culturally responsive services that promote recovery, wellness and resilience. These MHSA funded services should be accessible to individuals with severe mental illness, children with serious emotional disorders and their families, and individuals at risk for behavioral health issues. Helping Our Peers Emerge (HOPE) is a unique new collaborative designed to provide peer and family support services, using Peer Mentors to assist individuals who are in psychiatric hospital settings to successfully transition into the community, with the intention of reducing recidivism in emergency services. 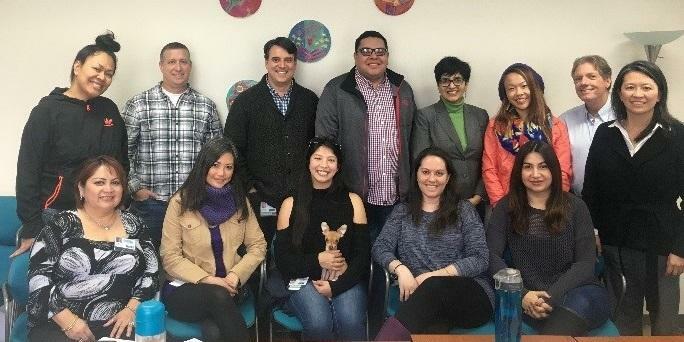 Measure K funding to the BHRS Transitional Age Youth (TAY) program, which began in FY 14/15, expanded the staffing and services provided by the Youth to Adult Transition team, and has allowed San Mateo County to increasingly meet the behavioral health needs of its young adult population. TAY provides intensive mental health services to 18 to 25-year-olds with a qualifying diagnosis, who have or are eligible for Medi-Cal. 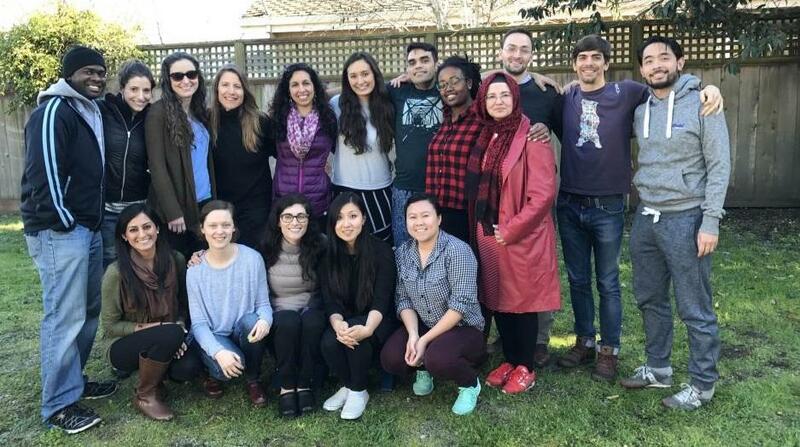 The San Mateo County BHRS Psychiatry Residency Program is a comprehensive four-year psychiatry residency program, with an emphasis on community psychiatry. Each year, four medical students from around the country match into our program and begin their residency training journey. 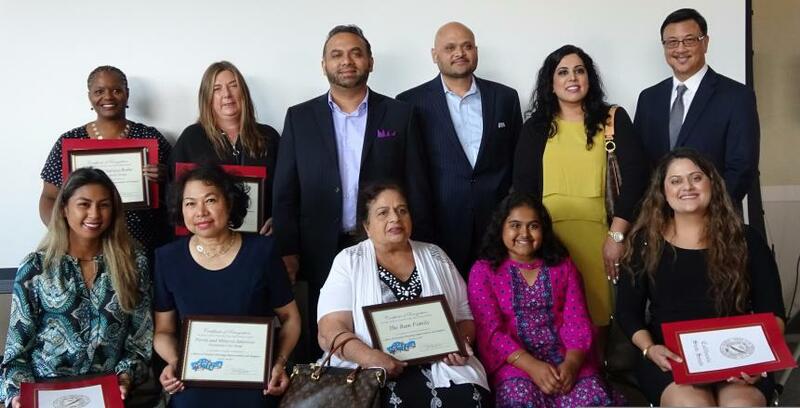 The Mental Health and Substance Abuse Recovery Commission’s Tony Hoffman Awards recognize individuals, professionals, businesses, or media representatives who have made an extraordinary difference in the lives of people with mental illness and the San Mateo County community. 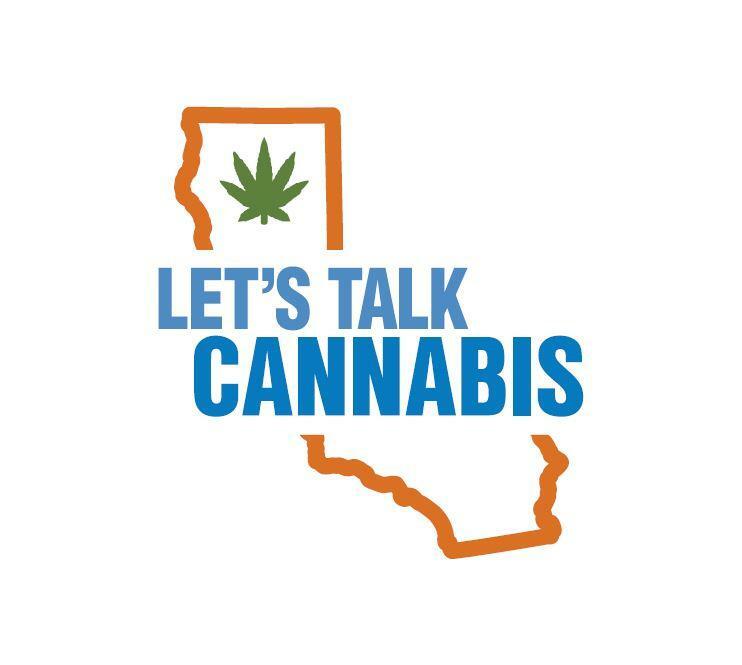 Since the legalization of recreational cannabis (also known as “marijuana”) in January, we’ve been working to educate the community on the health effects of cannabis use. Adults 21 or older are now free to use, carry and grow cannabis. However, cannabis use is not without its health risks. It can harm the brain and lungs, and put a person at higher risk for developing mental health and substance use issues. These risks are even greater for young people under the age of 25, whose brains are still developing. This month, the San Mateo County Board of Supervisors will recognize May 10 as Asian American, Native Hawaiian, Pacific Islander (AANHPI) Mental Health Awareness Day. May is both Asian American and Pacific Islander Heritage Month, and Mental Health Awareness Month. These communities have traditionally faced heightened stigma around mental health and substance use issues. 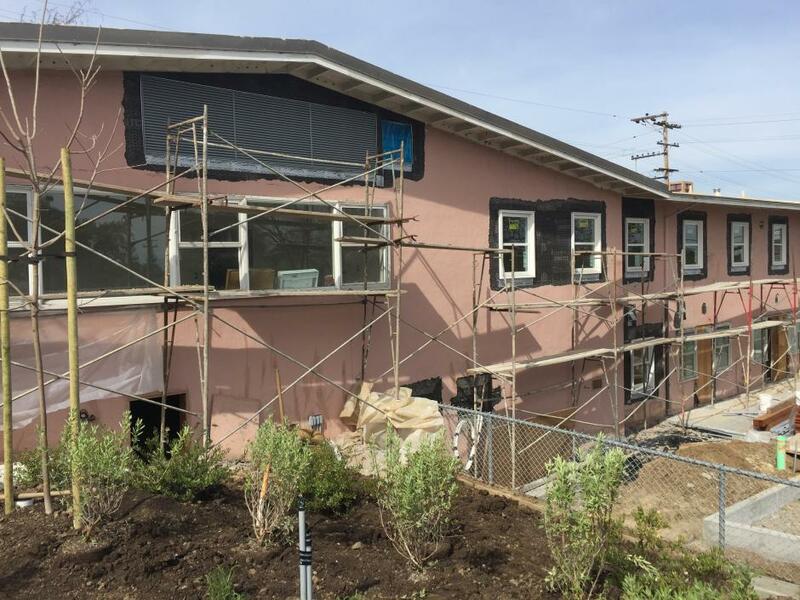 With construction nearly complete, Serenity House, San Mateo County’s new licensed crisis residential respite facility, is scheduled to open early summer. 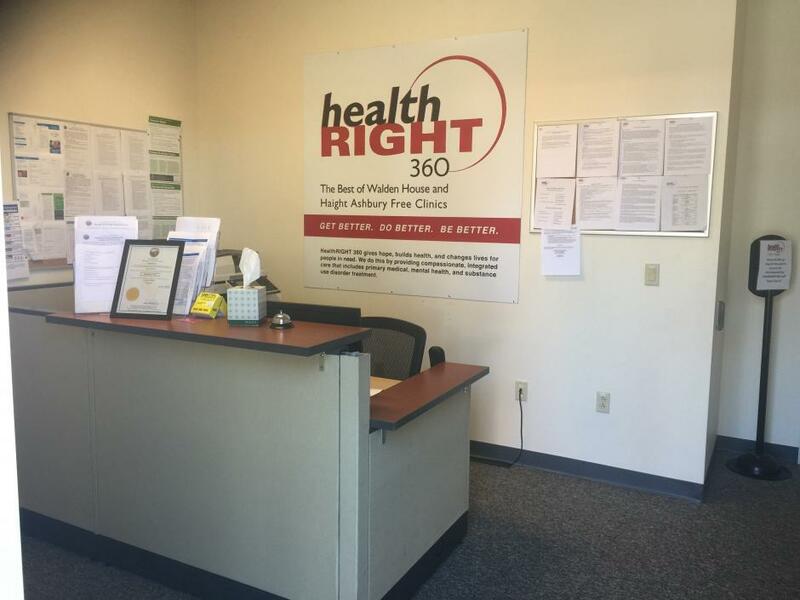 The facility, located at the corner of Hacienda and 37th and operated by HealthRight360. We are sad to announce that Linford Gayle, our recently retired Director of the Office of Consumer and Family Affairs, passed away peacefully on April 4, after a prolonged illness. During his time with BHRS, Linford created a multicultural and diverse team of individuals with lived experience as clients or family members, based in trust, compassion, collaboration and respect. 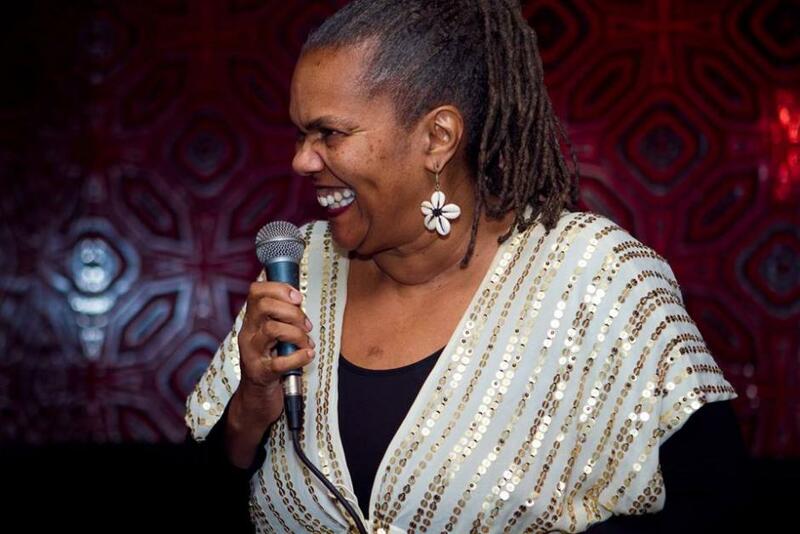 I began writing this column early in February, intending to focus on Black History Month and to highlight a few countywide events and activities. Then the shootings occurred in Parkland, and the world’s attention turned to yet another gun violence tragedy. During the first six months of 2017, Jorge was a frequent visitor to both the emergency department (ED) at San Mateo Medical Center (SMMC) and psychiatric emergency services (PES). Suffering from severe substance use issues and a history of trauma, he would often come in with a nearly fatal blood alcohol level. Implemented in 2005, the San Mateo Assessment and Referral Team (SMART) program is the first and only of its kind in California. Developed in collaboration between multiple agencies as a community resource, the program is funded in part by Measure K and the Mental Health Services Act. There are currently two SMART vans covering the county from 8 a.m. to 10 p.m. daily. The Health Ambassador Program for Youth (HAP-Y) is an innovative and community-developed program delivered by StarVista. It is designed for youth ages 16 to 24 who are interested in advocating for communities that have been touched by mental health challenges, raising awareness about mental wellness and increasing access to mental health services. The Collaborative Care Team (CCT) launched in March 2016 as a Health System collaboration between BHRS, the San Mateo Medical Center (SMMC) and Aging and Adult Services (AAS). It sprang from a need to increase client flow throughout the system’s various levels of care, and prevent clients from becoming “stuck” in an inappropriate or higher level of care than needed, including the SMMC inpatient psychiatric unit and other acute care settings. 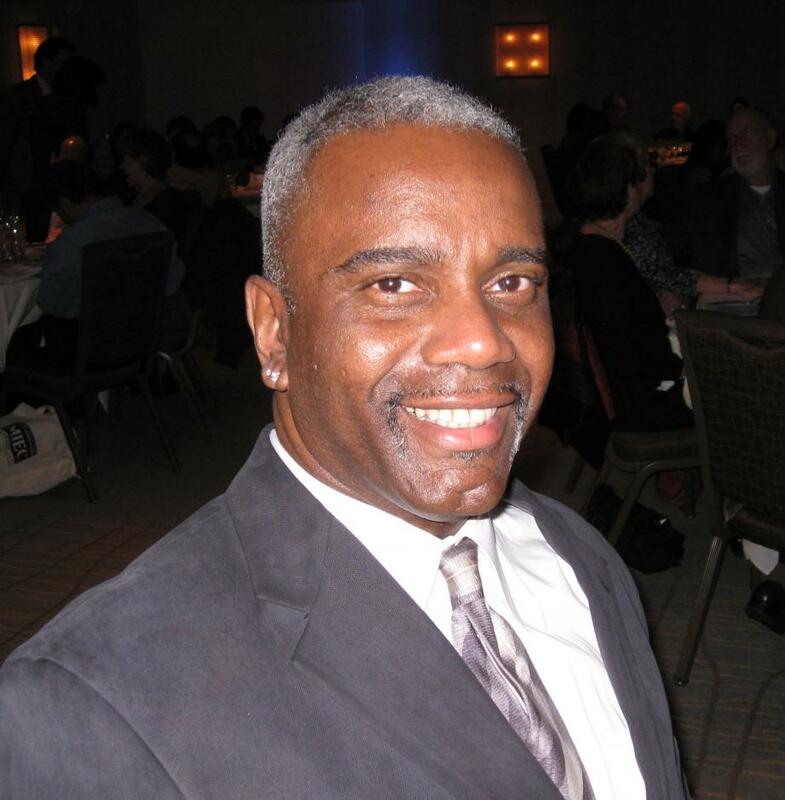 After almost 11 years with San Mateo County’s Behavioral Health and Recovery Services, Dr. Jei Africa left his post as director of the Office of Diversity and Equity (ODE) on March 2 to serve as director of Behavioral Health and Recovery Services in Marin County. The Mental Health Services Act (MHSA) INN component allows counties to fund projects which develop new best practices in behavioral health. Planning for INN projects is tied to the MHSA three-year planning process. 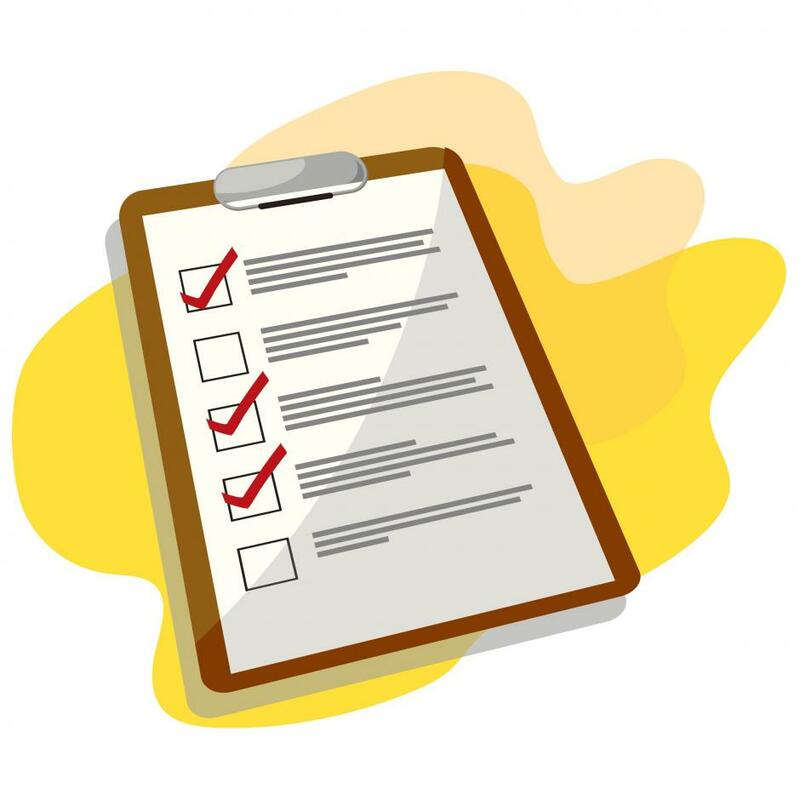 The most recent MHSA needs assessment engaged over 400 diverse stakeholders including clients/consumers and family members, youth, parents, community-based agency representatives, isolated and higher need communities, MHSA-funded programs and the MHSA Steering Committee. BHRS has long been committed to strategies that embrace diversity, improve the quality of services and eliminate inequities and barriers to care for marginalized cultural and ethnic communities. 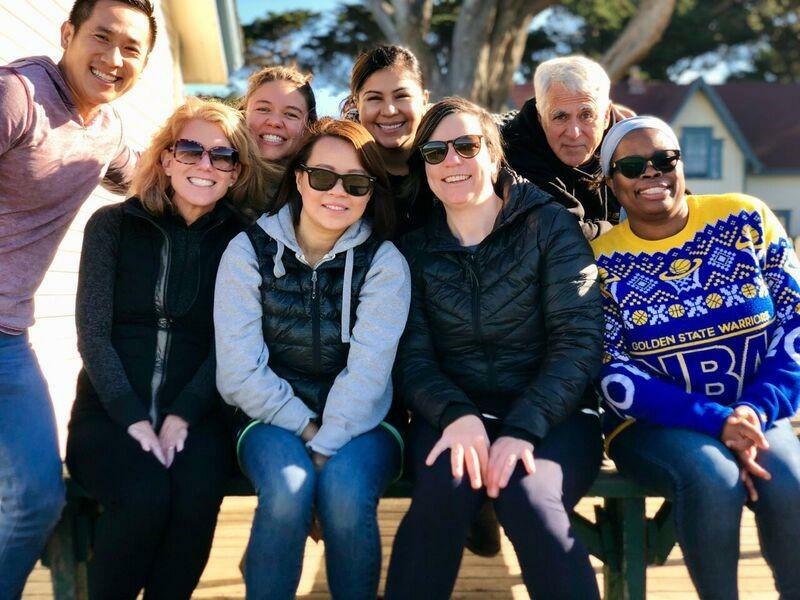 From our core values to our culturally competent services and programs, San Mateo County Behavioral Health and Recovery Services continues to be a pioneer in the field of behavioral health equity, cultural humility and inclusion. The Mental Health Services Act (MHSA) has provided dedicated funding to transform behavioral health systems and improve the quality of life for individuals living with behavioral health conditions. Workforce Education and Training (WET) strategies received a one-time $3,437,600 funding allocation in Fiscal Years 2006 to 2008, with a ten-year timeframe to expend the allocated funds. With MHSA WET funding ending in 2018, BHRS is preparing to sustain the most effective and impactful elements of these investments. Tell us what you think! BHRS’ Community Health Promotion Unit and the San Mateo County Youth Commission are conducting a survey to understand marijuana knowledge, attitudes and behavior among youth and young adults. 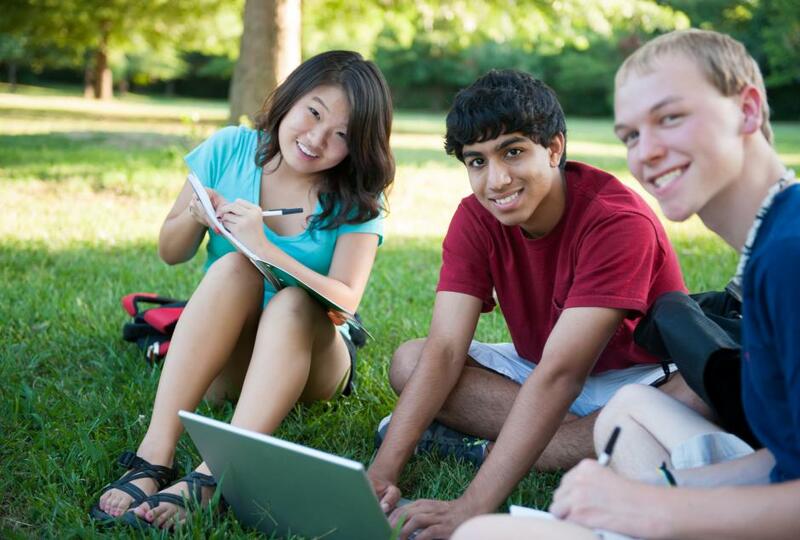 The survey is open to 12-25 year olds who live, work, and/or go to school in San Mateo County, until the end of March. As in previous years, we have identified ten highlights for 2017. Narrowing the list is never easy, however this list provides a snapshot of some of the new and continuing developments for BHRS in the past year. We would like to recognize all of the people ­­— clients, family members, staff, partners and community members — whose passion, commitment and hard work every day, transformed these ideas into action. The following highlights are listed in no specific order of priority. This past October multiple wildfires wreaked havoc through the North Bay, leaving many of our neighbors to the north displaced and in crisis. The San Francisco Chronicle reports the fires leveled more than 5,000 homes and killed 44 people. The aftermath of these fires left many struggling to cope with the loss of homes and loved ones. 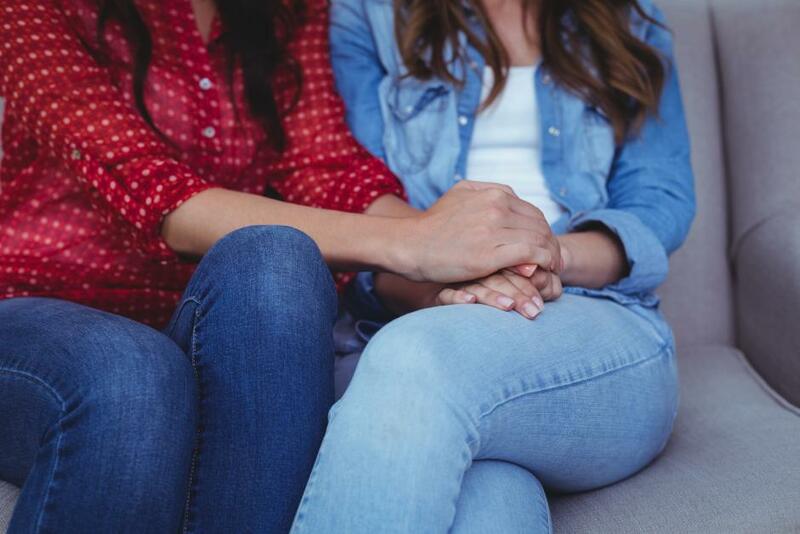 Strained by the incredible need for all kinds of additional resources, including crisis counseling, Sonoma and Napa Counties sent out mutual aid requests for mental health counselors. San Mateo County answered the call and a heart-warming amount of BHRS staff stepped up to volunteer their time to the response effort. 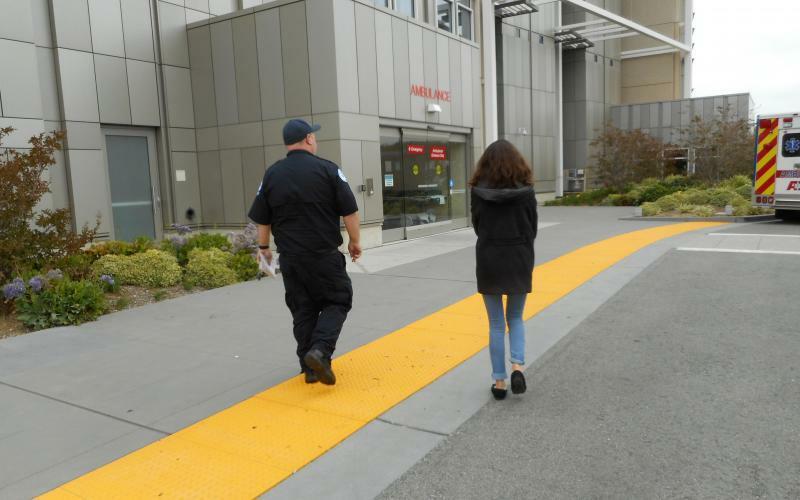 Introduced in 2005, San Mateo County’s crisis intervention training (CIT) is part of a continuum of crisis services which aim to safely provide the best support possible to those in a behavioral health crisis. Each year, San Mateo’s Women in County Government recognizes accomplished women working in the county who have demonstrated success through their commitment to the areas of community service, development and public service. 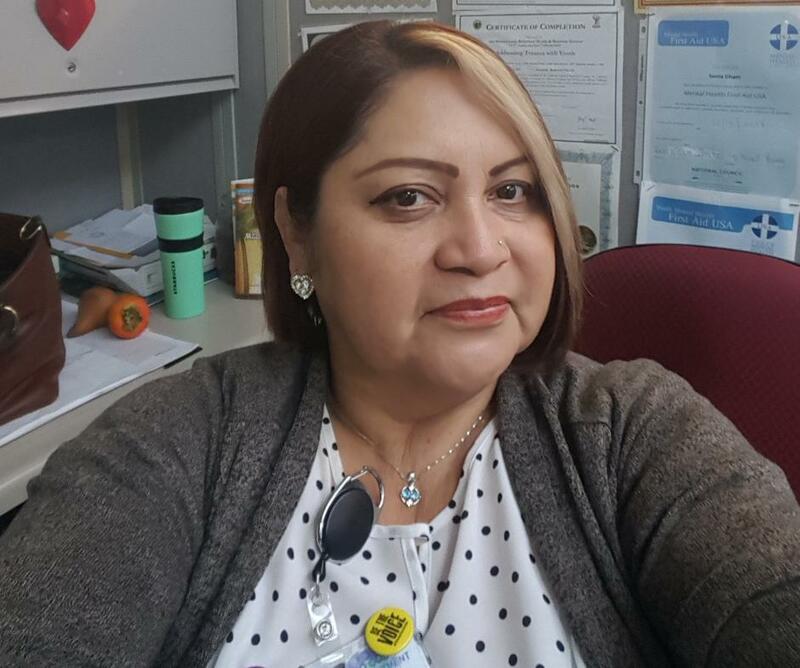 This past October, one of BHRS’ very own, Roxanne Clarke, was presented with the Public Service: the Extra Mile award for going above and beyond the call of duty as a bilingual Psychiatric Social Worker at Canyon Oaks Youth Center. 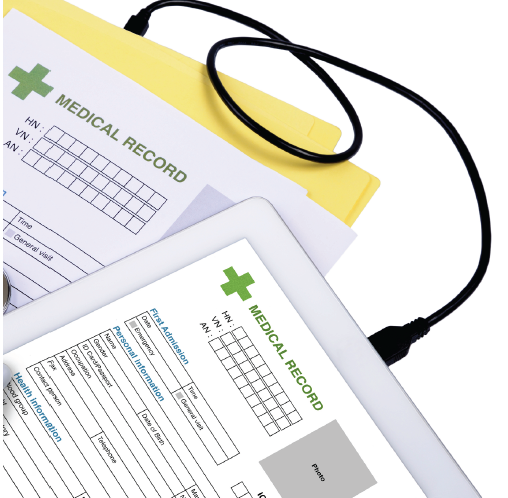 San Mateo County is gearing up to launch their new health information exchange, SMC Connected Care, used for the electronic sharing of health-related information for patients and clients receiving services from San Mateo County Health. A task force of providers, community based agencies, clients and community members convened over three 2-hour periods with the goal of developing recommendations for prevention and early intervention programming for children, youth, and transitional age youth. 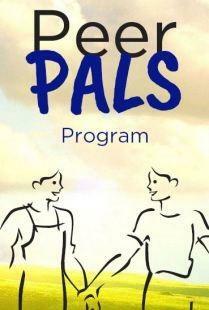 The five-year Whole Person Care (WPC) initiative began its second year of implementation on January 1. The pilot is aimed at improving the access, quality of care and efficiency of services delivered to those individuals with the most complex and often co-occurring conditions. 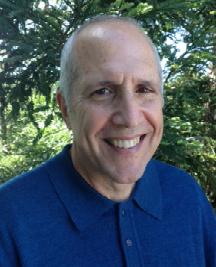 Former BHRS Director Steve Kaplan’s looks back his career in the behavioral health field in a recent article by the San Mateo Daily Journal. 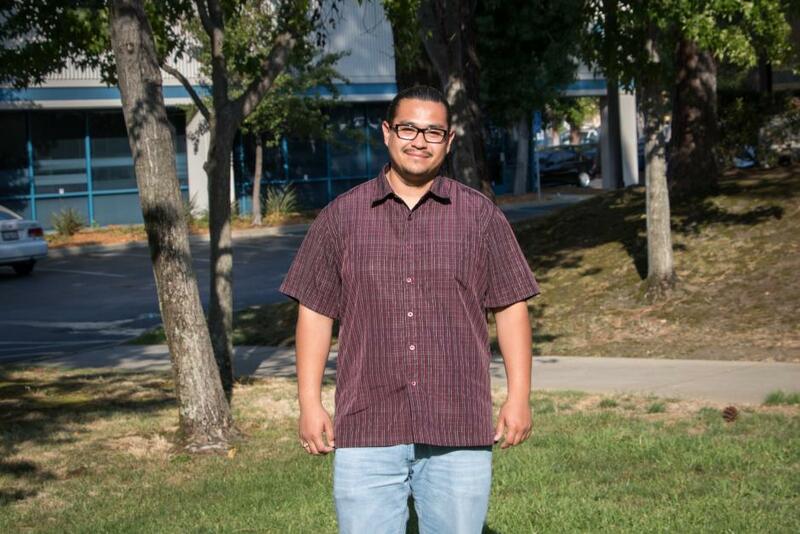 Read about his thoughts on medicated assistant treatment, the unaffordability of housing for those in recovery and Medi-Cal funding finally being authorized for substance use treatment programs in the full article. After nearly a year of recruitment, Ingall Bull became the new BHRS Quality Assurance Manager on December 18. 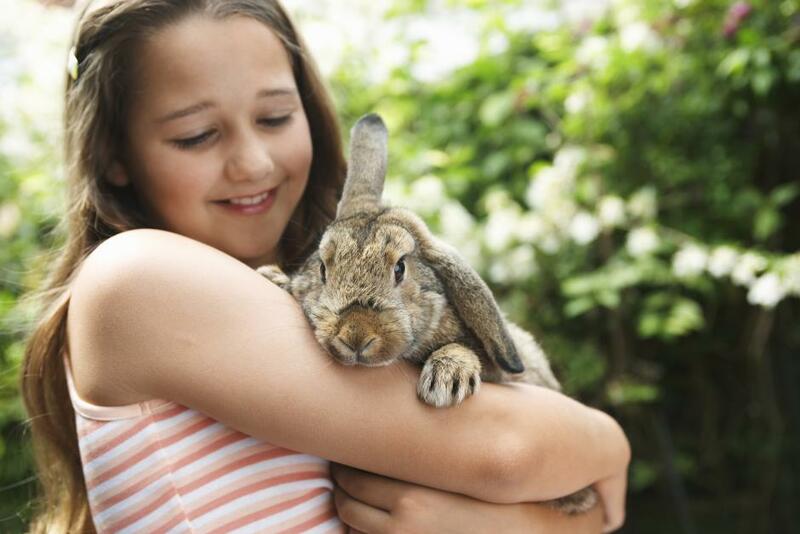 Ingall brings to the position extensive clinical experience and a rich history with BHRS. 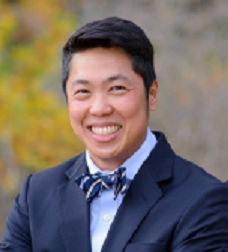 He’s worked in various capacities with the Geropsych Unit in Crystal Springs, as the supervisor of the BHRS Therapeutic Day School program and the electronic health record (AVATAR) implementation team. Ingall is looking forward to moving BHRS to the next chapter of service delivery in his position. For those who are recovering from mental health and/or substance use issues, the journey can be deeply humbling and sometimes harrowing. Unfortunately, for many in recovery, the journey does not end there. 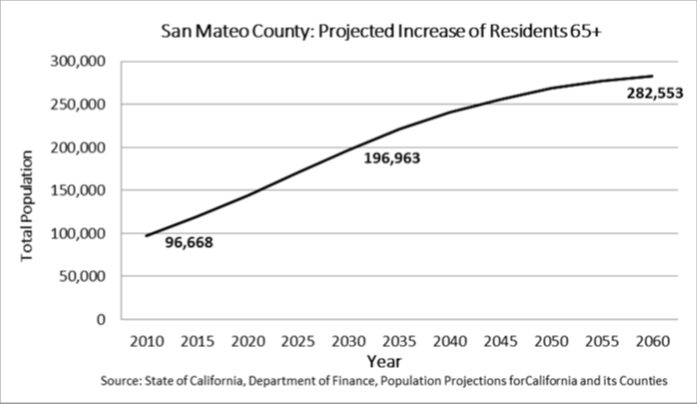 The task of finding a safe, affordable home to heal and to thrive in can feel like an impossible task, especially in San Mateo County, where the housing market is one of the most costly and competitive in the Bay Area. I’d like to begin my first message by saying thank you for the warm and welcome reception that I’ve received here at BHRS. I recognize that since I have not previously worked in San Mateo County, nor held a leadership role with a neighboring county system, I’m somewhat of an unknown to folks here. So I appreciate the patience you’ve shown in explaining your programs and processes to me…and all those acronyms! Article November 1, 2017 Cardum Harmon, Executive Director, Heart and Soul, Inc.
At this year’s Lived Experience 2.0 Peer and Family Action Summit, San Mateo County peer providers, family members, clients, BHRS clinicians and County leadership answered this important question. A coalition of local leaders in schools, mental health, crisis intervention, law enforcement and government are utilizing Measure K funds to prevent suicide in our schools and community. 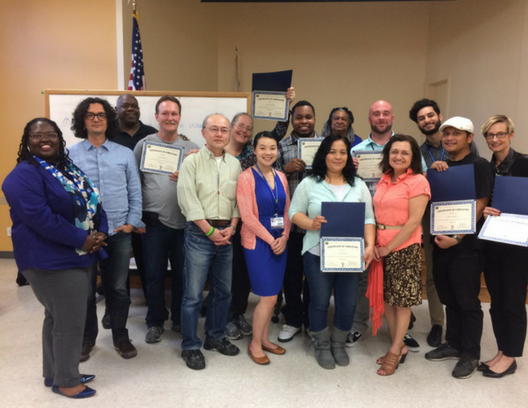 HealthRIGHT 360 (HR360) recently launched its new East Palo Alto (EPA) outpatient program, Engaging Positive Actions. The program strives to provide underserved youth with substance use disorder treatment and mental health support. In the field of mental health and substance use, applicants may be asked on job interviews, “describe your experience and how it fits this role.” Education, training, and specific work experience may be the most common responses that demonstrate one’s qualifications to with individuals with mental health and substance use conditions. 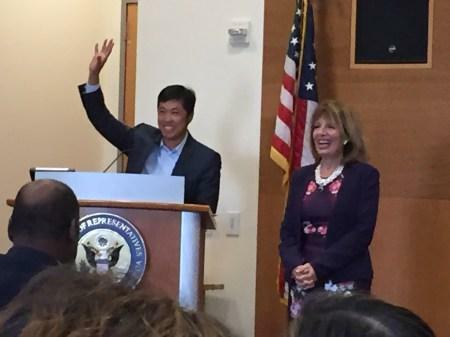 On October 20, Dr. Jei Africa, Director of the BHRS Office of Diversity and Equity, received the Immigrant Recognition Award for California’s 14th Congressional District from Congresswoman Jackie Speier. 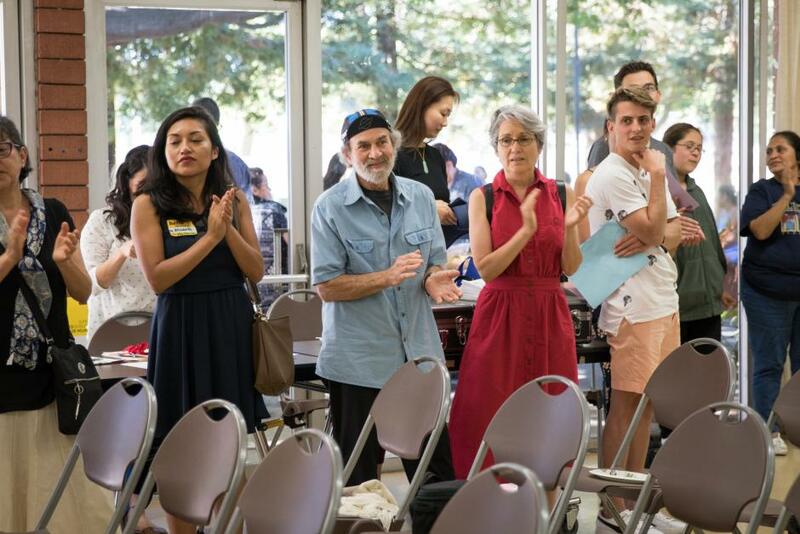 During a time of community divisiveness and uncertainty for immigrant families, Congresswoman Speier sought to highlight the contributions of first generation immigrants in San Mateo County, one of the most diverse counties in California. Amid looming changes to immigration laws and an increasingly heated national conversation about immigration, San Mateo County held two forums this month where community members could learn about important resources, share their experiences and get answers to their questions. For the second time in San Mateo County, the National Day of Prayer for Behavioral Health Recovery and Understanding was recognized on Oct. 3. BHRS and NAMI co-sponsored the observance by inviting faith and secular leaders as well as consumers to participate in the hour long event. 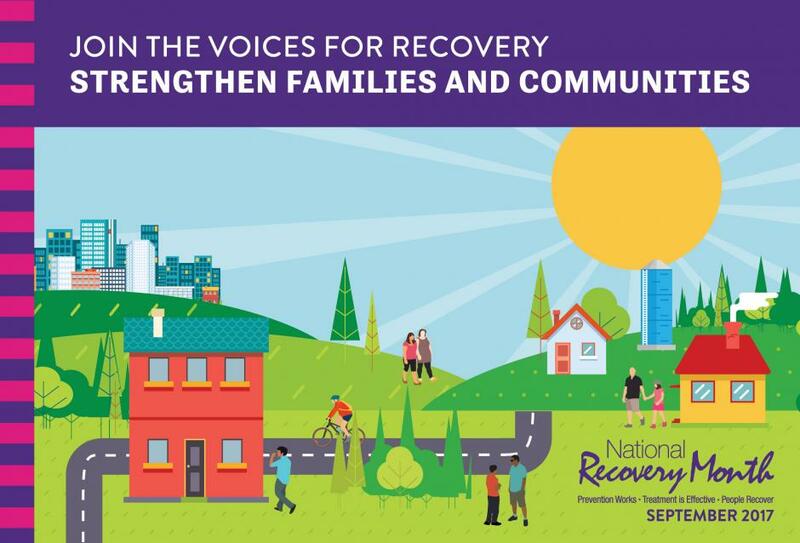 September is the 28th annual National Recovery Month, and here in San Mateo County we are celebrating our residents in recovery from substance and mental health issues as well as their family members, supporters and providers who helped them on their journey. September is National Suicide Prevention Month and this month San Mateo County is joining a national conversation that aims to raise awareness about suicide prevention, and the everyday steps that we can each take to help prevent suicide in our communities. This is my last article as your Director of Behavioral Health and Recovery Services as I will be retiring at the end of September. It has been an honor and privilege to work in and for San Mateo County in service to our BHRS clients, consumers and families. During my tenure I witnessed – often first hand – extraordinary courage, perseverance and optimism in the face of daunting challenges and doing so has inspired and motivated me daily. During recovery month, we highlight the incredible journey of individuals from all walks of life who have found recovery. They are a testament to the resilience of the human spirit and show that treatment is effective and people do recover. We hope these stories encourage others to seek help - and to know that recovery is always possible. The idea of giving back is ubiquitous in the recovery community. In fact, many see the act of helping others with substance use and mental health issues as an essential hallmark of the recovery process. But before a person can start contributing to the recovery of another, they must first find their way to recovery themselves. For 22 year old Eduardo Tirado, this came relatively early in life. He started drinking at 13, and had been in and out of juvenile hall, jail and a treatment center by the age of 18. We are pleased to announced that David A. 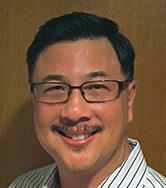 Young, Ph.D., MPH has joined the San Mateo County Health System as Director of Behavioral Health and Recovery Services, following Stephen Kaplan’s (current Director) retirement on September 30. 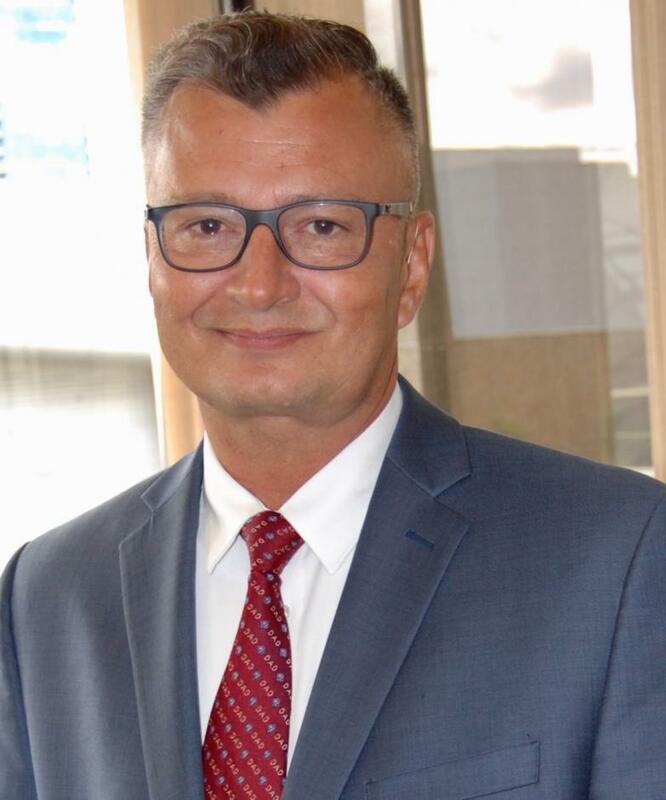 David brings more than 30 years of diverse experience in the behavioral health nonprofit and private sector arenas, including most recently as Chief Clinical Officer for Sagesurfer, a behavioral health technology company. Steve Kaplan, Director of BHRS will retire on September 30. His time with San Mateo County have made a significant impact not only on a local level, but also on a broader level. He managed to accomplished a great deal during his twelve years at the county. 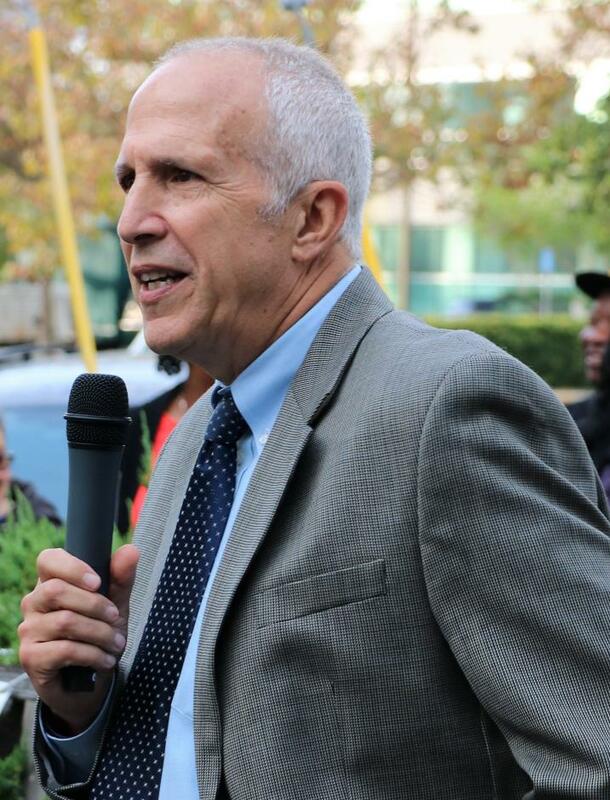 David Lewis was a remarkable man who transformed the recovery community, and East Palo Alto in particular, through his inspiring work with addiction and criminal justice. 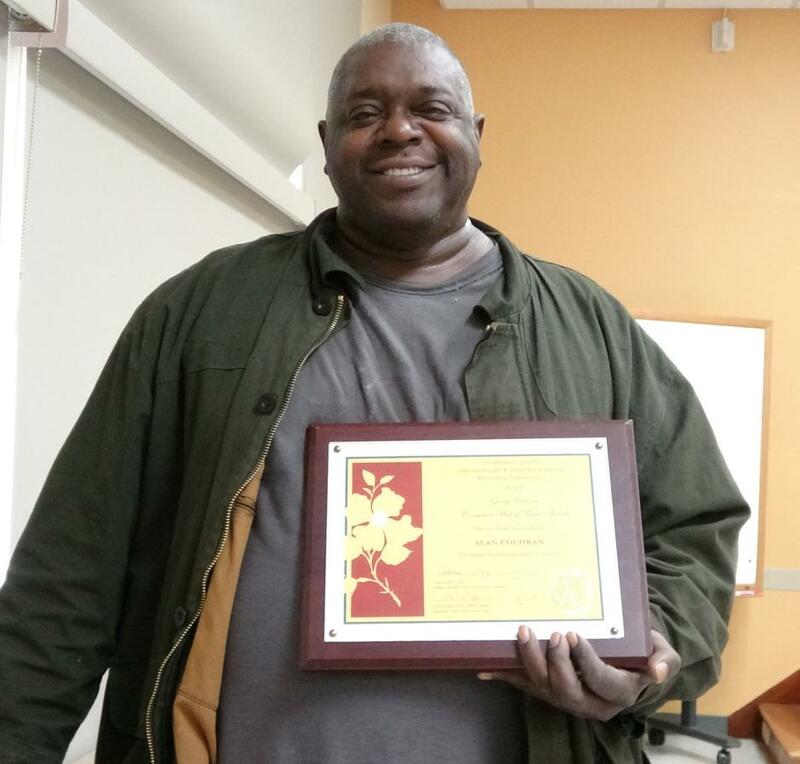 The San Mateo County Mental Health and Substance Abuse Recovery Commission presents the David Lewis award to individuals who have made an extraordinary difference in the lives of people with substance use disorders and the San Mateo County community. 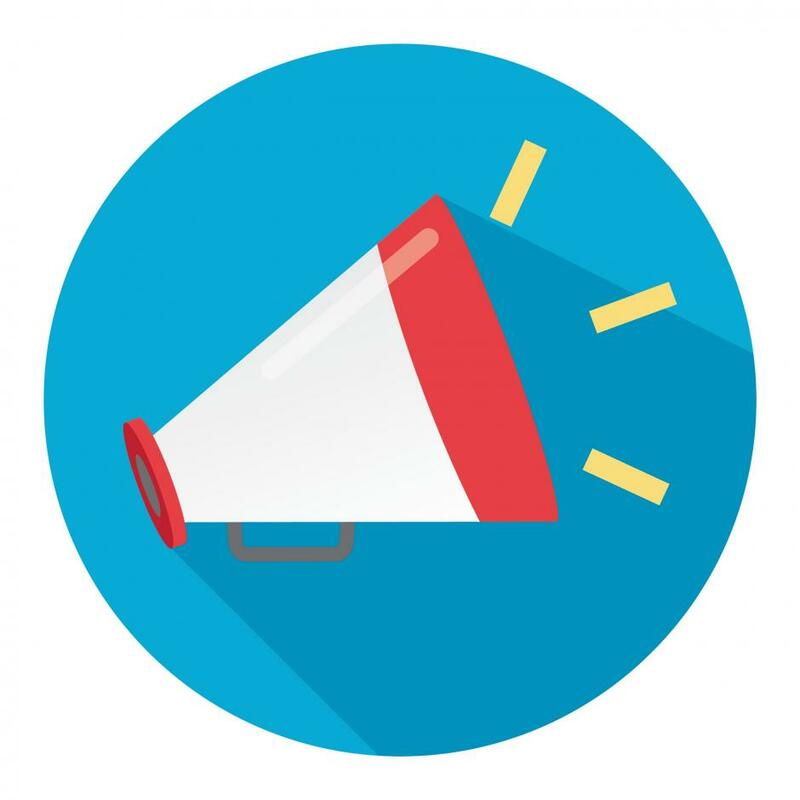 On September 6 the Mental Health and Substance Abuse Recovery Commission (MHSARC) will be voting to close the public comment period on the final piece of the Three-Year Plan, the Annual Update for Fiscal Year 2015-16 program outcomes. 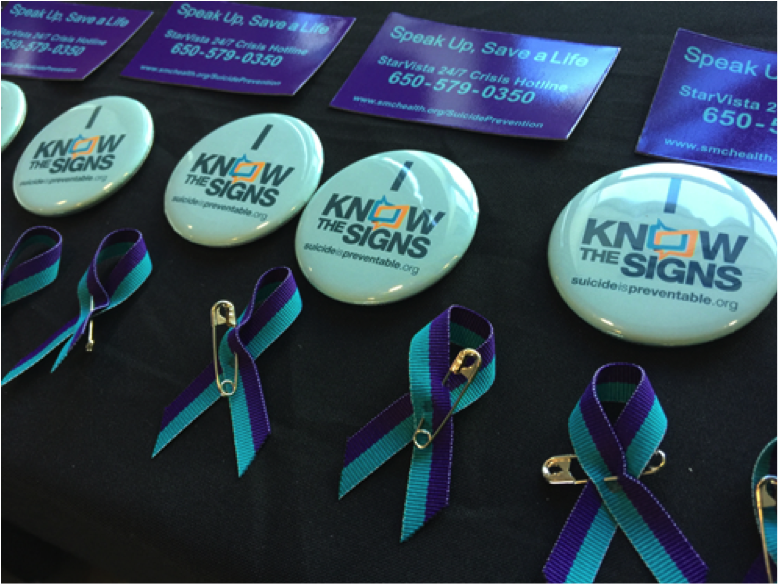 Suicide is a public health issue that affects all San Mateo County residents. 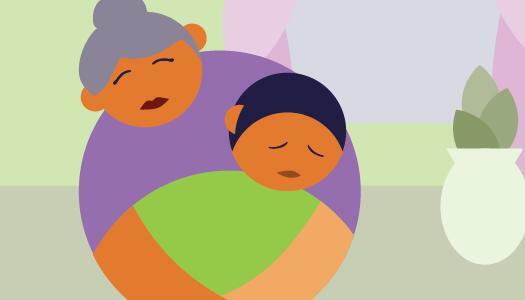 Suicide can have an effect on family members, friends and the community. These effects are often devastating and can last for long periods of time, yet suicide is preventable. 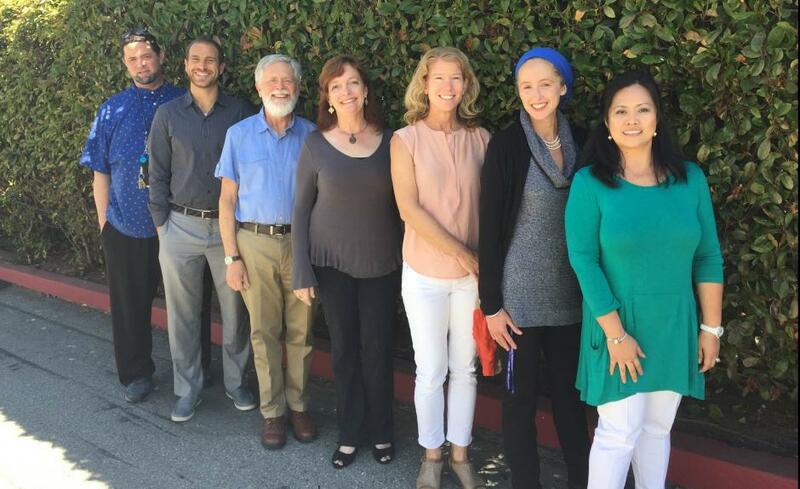 With support from the Mental Health Services Act, the San Mateo County Suicide Prevention Committee provides oversight and direction to suicide prevention efforts in San Mateo County. The Office of Diversity and Equity’s (ODE) mission is to provide services to many of our underserved populations. This year, Parent Project® offered its first summer session since 2014! 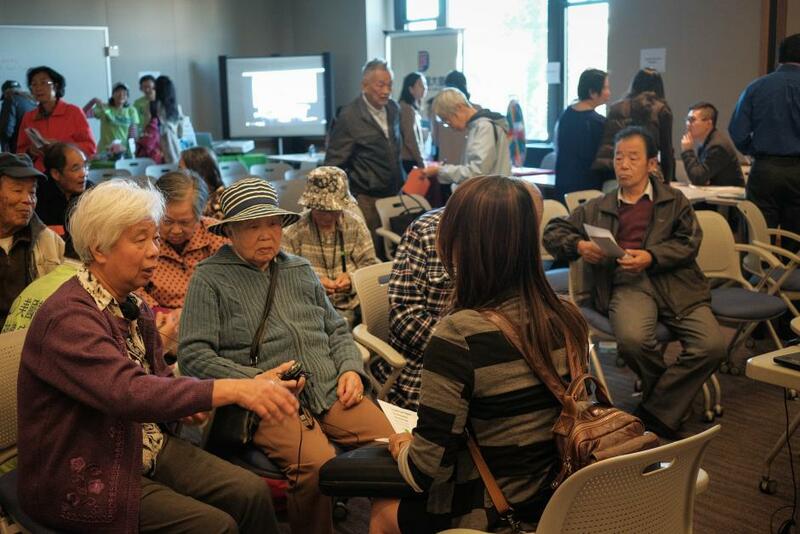 In collaboration with MidPen Housing in San Mateo, the course was offered in Spanish for the apartment complex residents as well as neighboring community members. 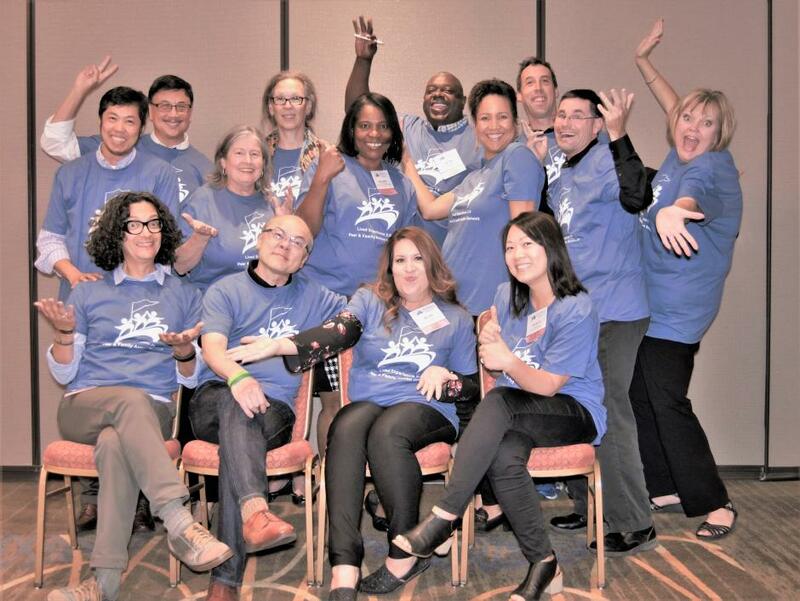 The upcoming Lived Experience 2.0 Peer & Family Action Summit will help San Mateo County’s Behavioral Health & Recovery Services (BHRS) chart the path towards expanding the role of peers, consumers and family members in the design and delivery of services. 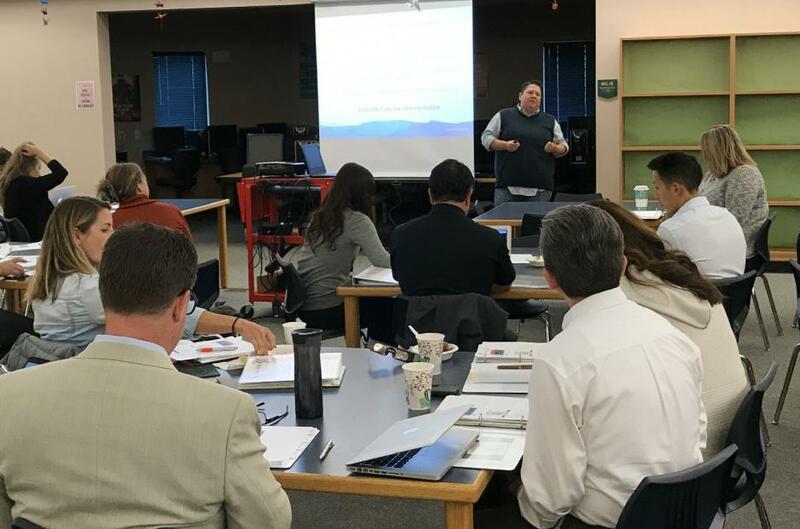 The summit will shape BHRS’s vision of recovery and wellness by providing valuable information which will be then used to create a plan with concrete recommendations to BHRS. 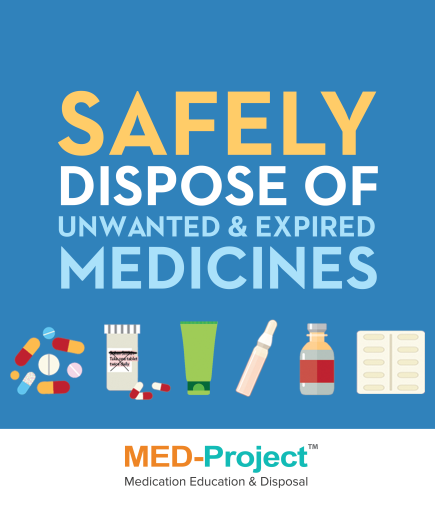 San Mateo County’s Safe Medicine Disposal Program has partnered with the Medication Education & Disposal (MED) Project to provide 28 safe medicine disposal kiosks – and counting – throughout San Mateo County. This program is critical in preventing accidental exposure of medicine to children and pets, keeping our oceans and drinking water clean and curbing the nationwide opioid epidemic. The Behavioral Health and Recovery Services Quality Improvement Committee (BHRS QIC) is seeking new members. BHRS QIC reviews many aspects of BHRS’s work, reviews policies, provides input to management and oversees the quality of BHRS services. The next couple of months is jam packed with fun events and educational trainings. Check out the listings below and be sure to check the BHRS Meeting and Events Calendar for a complete and up-to-date list of events, meetings and trainings. San Mateo County will celebrate Recovery Month with a number of fun and informational events throughout September, including a candlelight vigil, a walk of hope and a picnic and resource fair. Like what you see here in Wellness Matters? 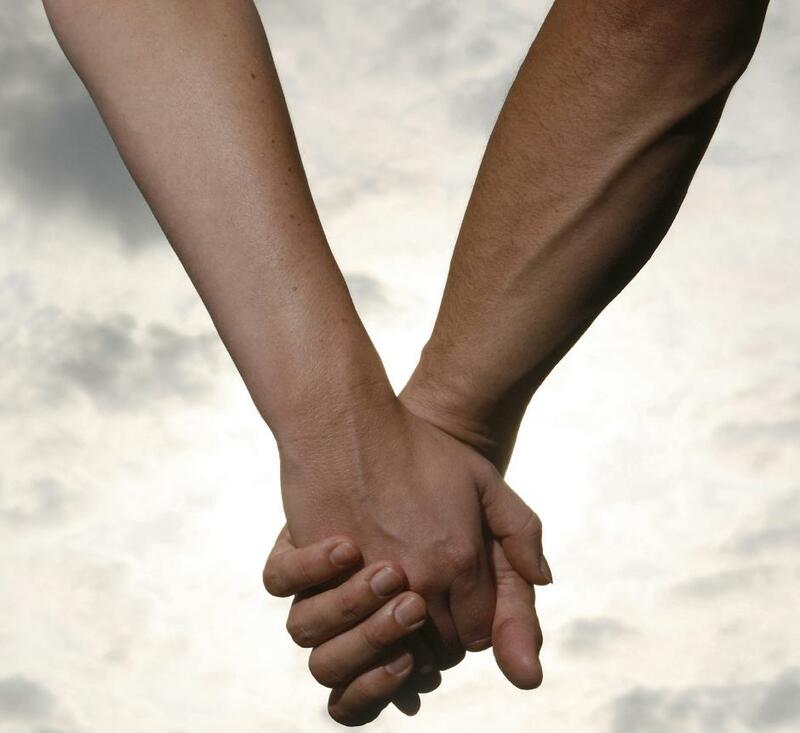 Then you’ll love our Behavioral Health and Recovery Services Blog. 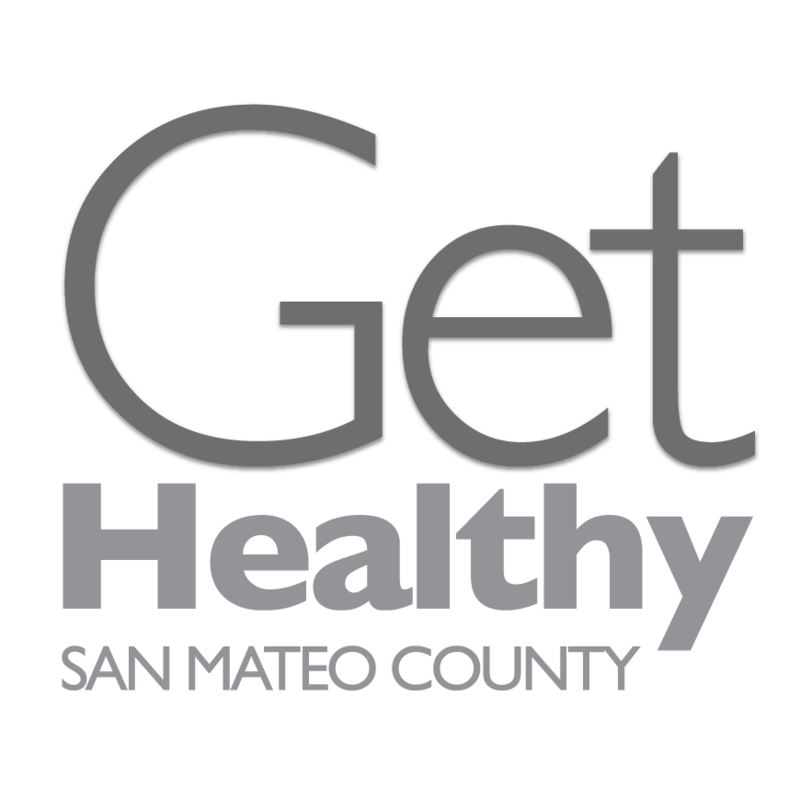 It’s updated regularly and has everything from the latest BHRS news, events and trainings, to thoughtful articles about behavioral health in San Mateo County and beyond. Stay up to date with the issues that matter to you and your community and follow us today. 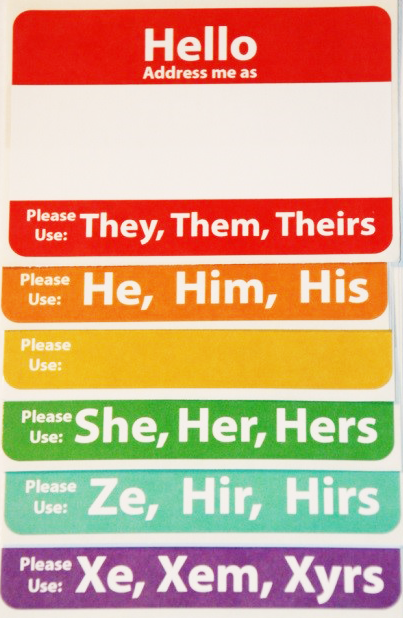 A Right or A Privilege? Since the last edition of Wellness Matters we have celebrated May as Mental Health Month and June as Pride Celebration Month. 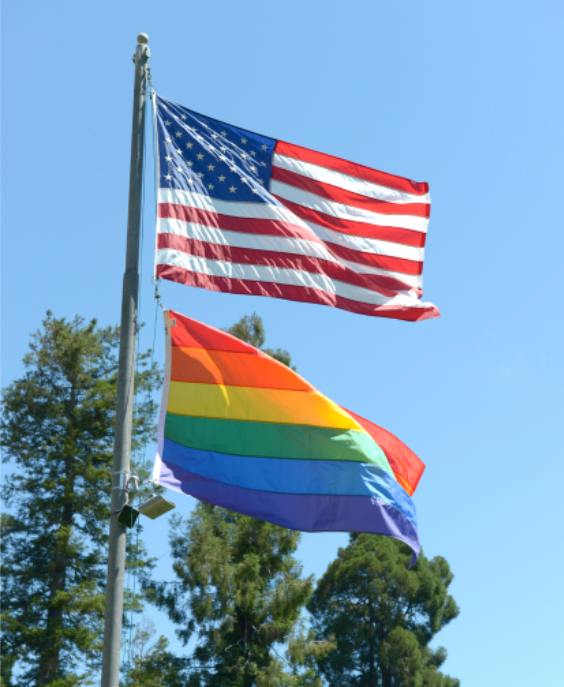 We’ve also seen the historic opening of the Pride Center in San Mateo County. While these uplifting celebratory events happened there were also ominous developments in Washington D.C. As much as I would like to write about the former and what they mean to our community I am compelled to write about the latter. While mental illness is a leading cause of disability in the U.S., nearly two-thirds of people with a diagnosable mental illness do not seek treatment—and racial and ethnic groups are even less likely to get help, according to the US Office of Minority Health. 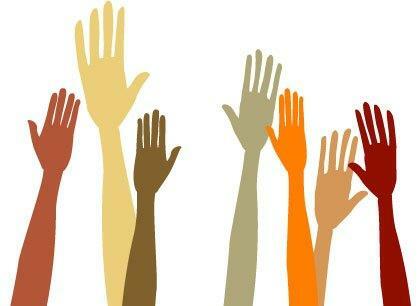 55% of San Mateo County residents identify as people of color. Especially in our majority minority community, challenges faced by minorities are challenges for us all. 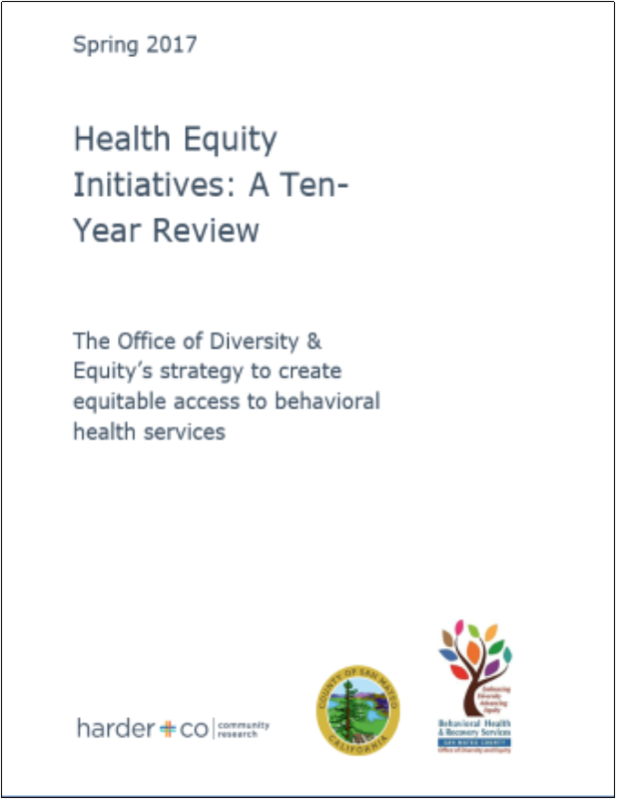 As we recognize Minority Mental Health Awareness Month this July, the Office of Diversity and Equity is pleased to present our impact report, Health Equity Initiatives: A Ten-Year Review. The report showcases the efforts and accomplishments of the eight Health Equity Initiatives (HEIs) and the Diversity and Equity Council. Many have heard of Star Vista’s First Chance Sobering Station. 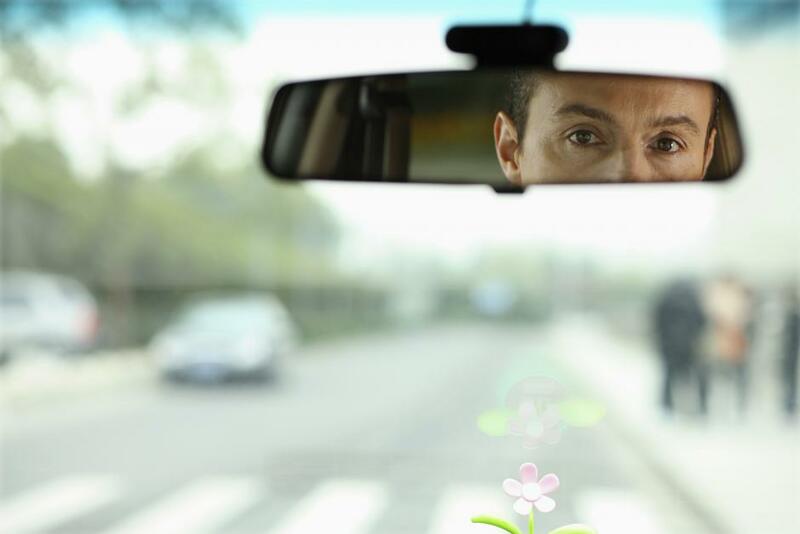 The 24-hour program is an alternative to jail for those arrested for driving under the influence or public intoxication. First Chance counselors provide assessments, case management and coping strategies for clients while they recover from intoxication. 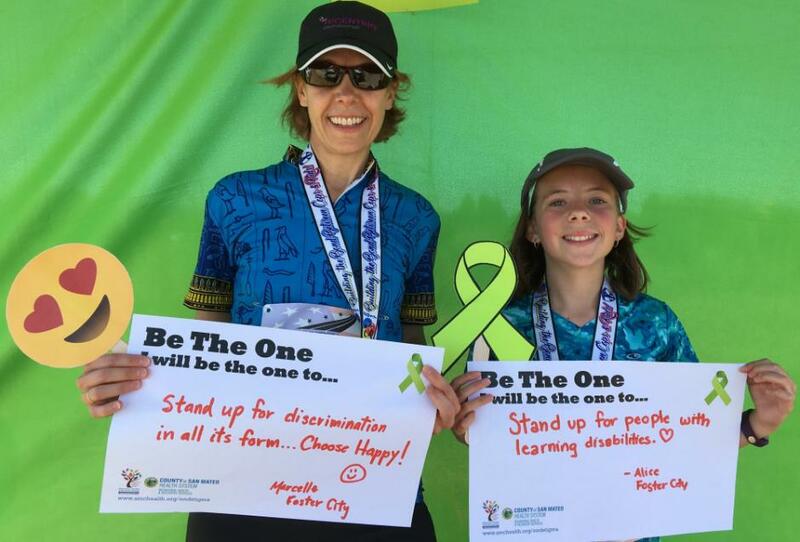 During this past May, Mental Health Awareness Month (MHAM), San Mateo County celebrated mental wellness and recovery with community partnerships, voices and action. 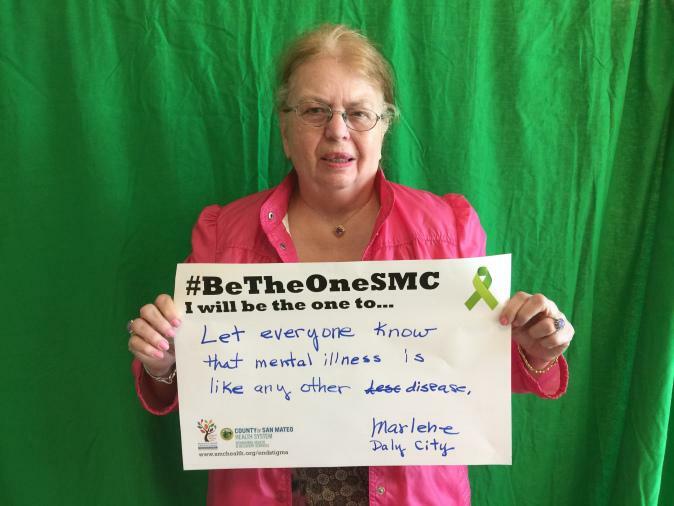 Through my role in planning MHAM events and other stigma reduction efforts, I am excited to see that, more than ever, mental health matters to our community! Storytelling can be an incredibly powerful tool in bringing attention to mental health and wellness, while reducing stigma and empowering both storytellers and audiences. During FY 16-17, The Office of Diversity and Equity (ODE) Storytelling developed and published a storytelling framework that defines ODE’s approach and goals, three tenets of powerful storytelling and the theory behind the storytelling program. Parts of this storytelling framework were adapted by the Lived Experience Academy. “Research clearly shows that Medication Assisted Treatment leads to better treatment outcomes compared to behavioral treatments alone,” Murthy tweeted in May. 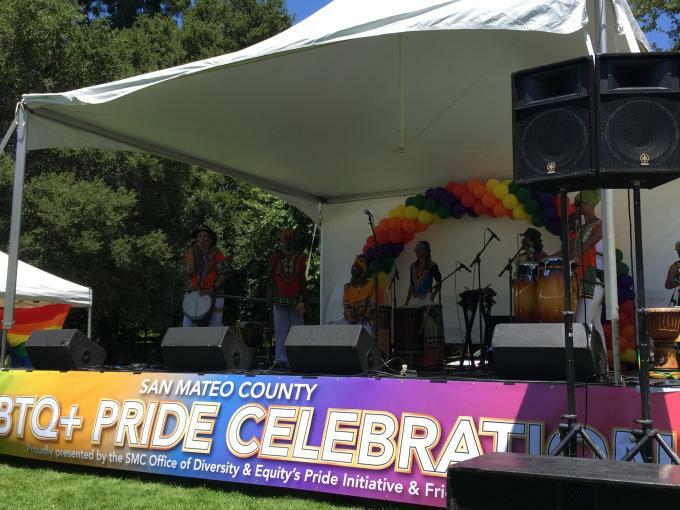 The PRIDE Initiative held the 5th annual LGBTQ+ Pride event at San Mateo Central Park on Saturday, June 10th. This year’s theme “Still We Rise,” was inspired by Maya Angelou’s 1978 poem “Still I Rise.” Had it not been for the courage and tenacity of queer and trans Black women activists at Stonewall, such as Marsha P. Johnson and Stormé Delarverie, we would not be able to celebrate as we do today. “Still We Rise” is meant to inspire and remind us of the need for solidarity across all communities. 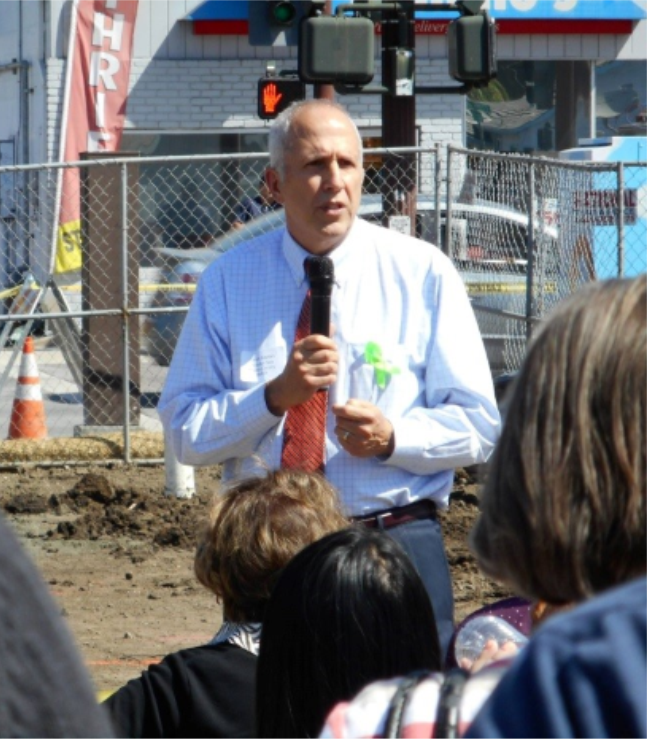 The Mental Health Association (MHA) along with San Mateo County officials celebrated the long awaited Waverly Place Apartments groundbreaking on May 9. The housing development at 105 Fifth Ave, in the North Fair Oaks area of Redwood City includes fifteen supported housing units for individuals with severe mental illness. Escalating Bay Area construction costs caused a two year delay on the summer 2015 expected groundbreaking but, MHSA remained true to its culture of not giving up on projects and continued fundraising. It was 2009 and Celia, a resident of San Mateo County, was 71 years old when she began experiencing symptoms of a mental health condition. “I was not feeling well at work, I was throwing up, and I was sent home,” she said. Celia continued experiencing these symptoms until she was referred to the Older Adult System of Integrated Services, better known as OASIS. As of July 1, 2017, Health Plan of San Mateo (HSPM) now offers a transportation benefit to all Medi-Cal members allowing them to schedule rides to outpatient health-related services, like doctor’s visits, lab services, PT/OT and behavioral health appointments. 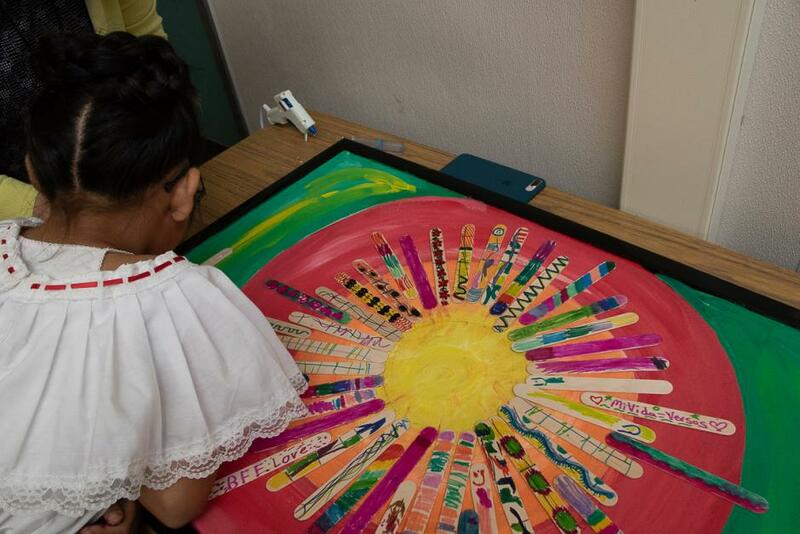 The flourishing garden at Serramonte Therapeutic Day School (TDS) is an important aspect of our therapeutic program. Students enjoy visiting during breaks and lunch, hanging out, feeding the chickens, visiting with our cats or just wandering around to see, smell and touch the plants and flowers. 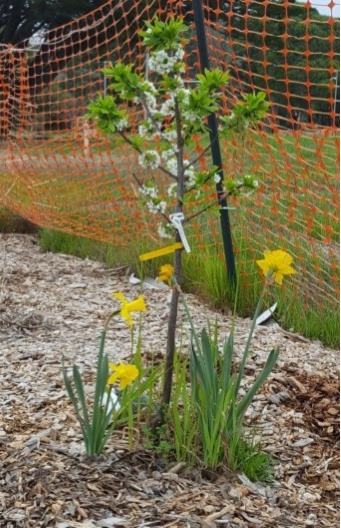 The space provides the opportunity for students to learn about the physical aspects of gardening, but also allows them to experience firsthand the subtle but deep metaphors for psychological and emotional growth and healing that nature provides. The Mental Health and Substance Abuse Recovery Commission (MHSARC) voted to open a 30-day public comment period for the Mental Health Services Act (MHSA) Three-Year Plan FY 2017-2020 on June 7, which identifies priorities for future MHSA funding. The plan is a culmination of five months and numerous staff hours of facilitation, engaging and empowering well over 500 clients and family members, diverse groups, untraditional partners and communities to participate in the planning process. When the Youth Services Center opened in the late fall of 2006, a plan was conceptualized to develop and enhance the land where the maze of old Probation Department buildings sat. Behavioral Health and Recovery Services (BHRS) and the Health System supported this original plan, and have continued to be an ever-present force as the garden project has moved forward. 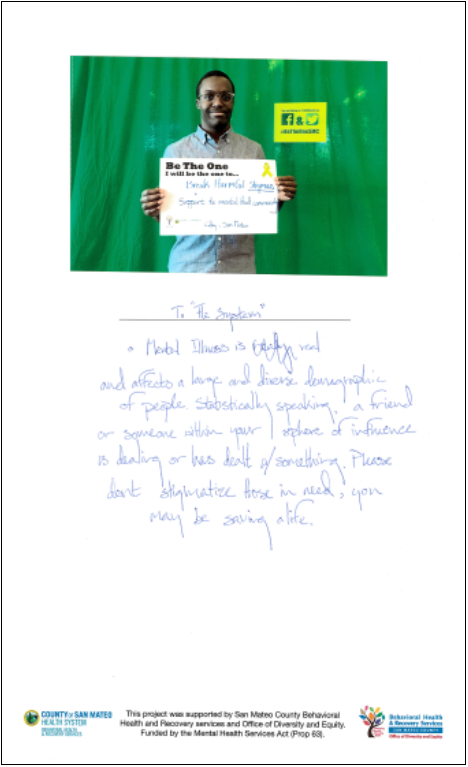 The Office of Diversity and Equity recently partnered with the Youth Services Center (YSC) to facilitate Photovoice projects for youth detained at YSC. 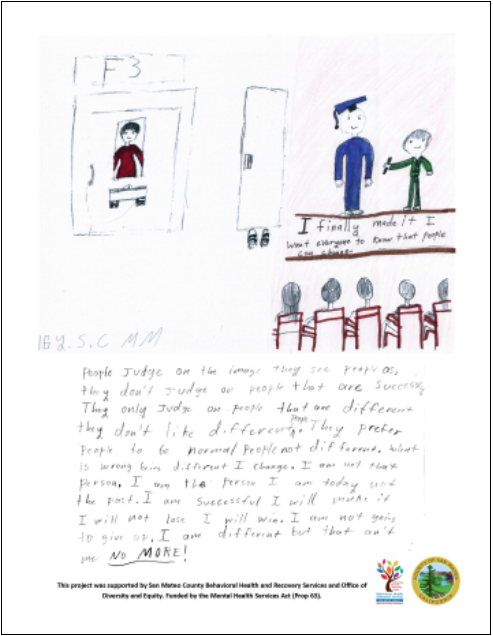 This project was created in order to educate others about stigma surrounding mental health for detained youth. Additionally, this project provided youth an opportunity to share their voice. The Native American Initiative (NAI) recently hosted a training titled Native American Health: Historical Trauma and Healing Practices. 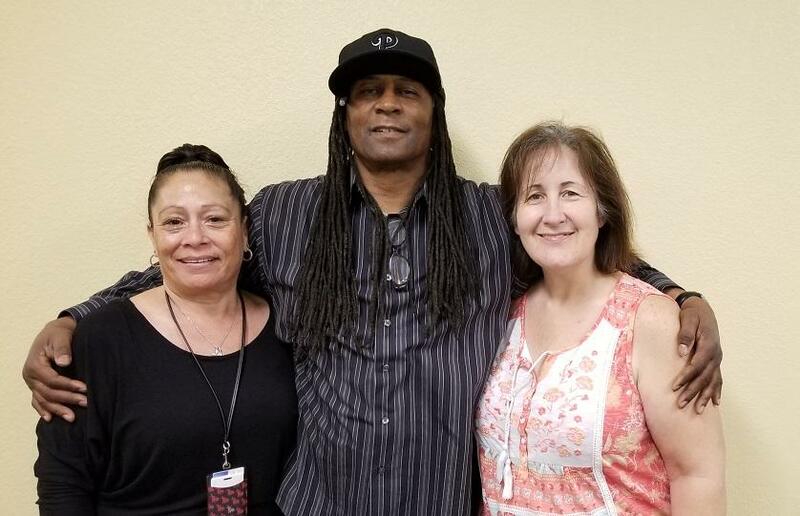 The training focused on intergenerational trauma—the lasting impact trauma can have on individuals and their descendants. The Tony Hoffman Award recognizes individuals, professionals, businesses, or media representatives who have made an extraordinary difference in the lives of people with mental illness and the San Mateo County community.